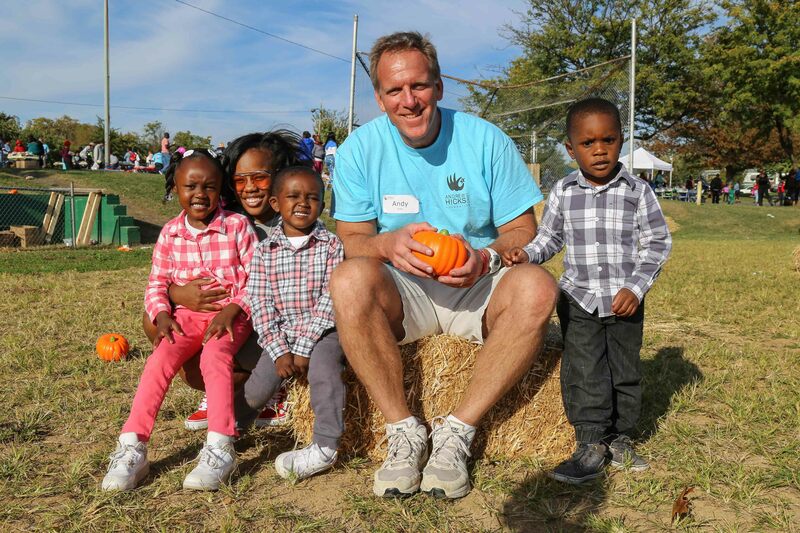 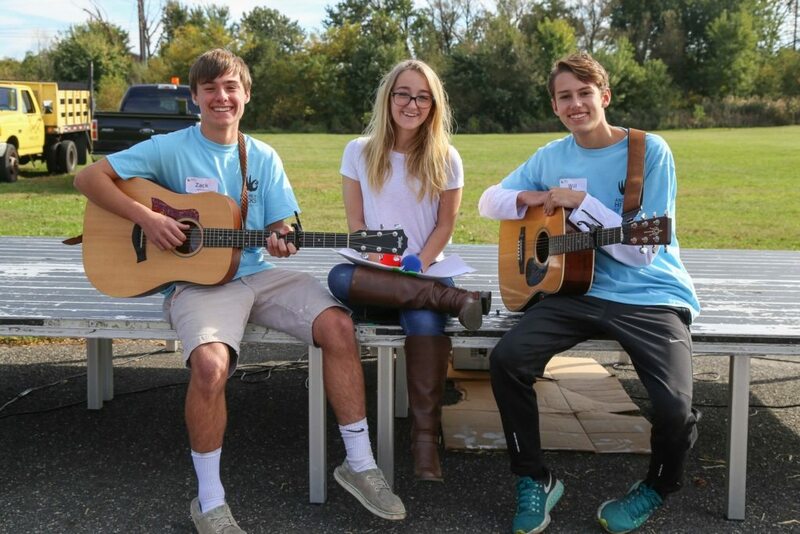 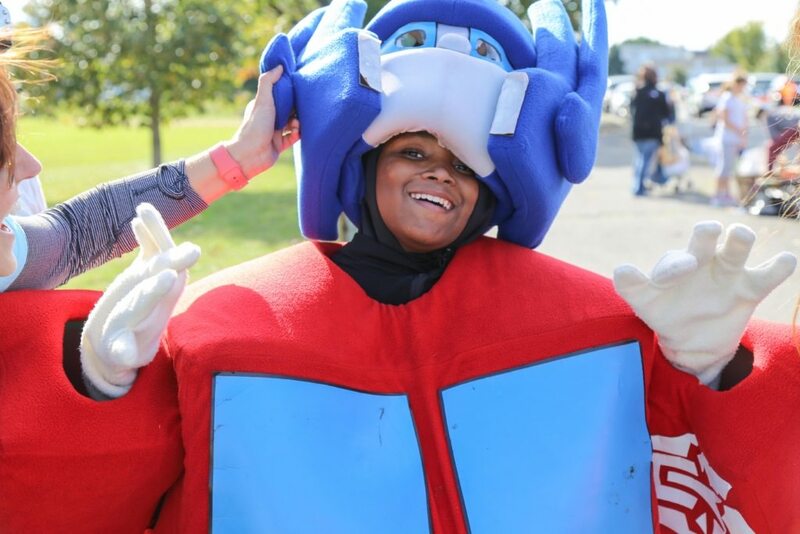 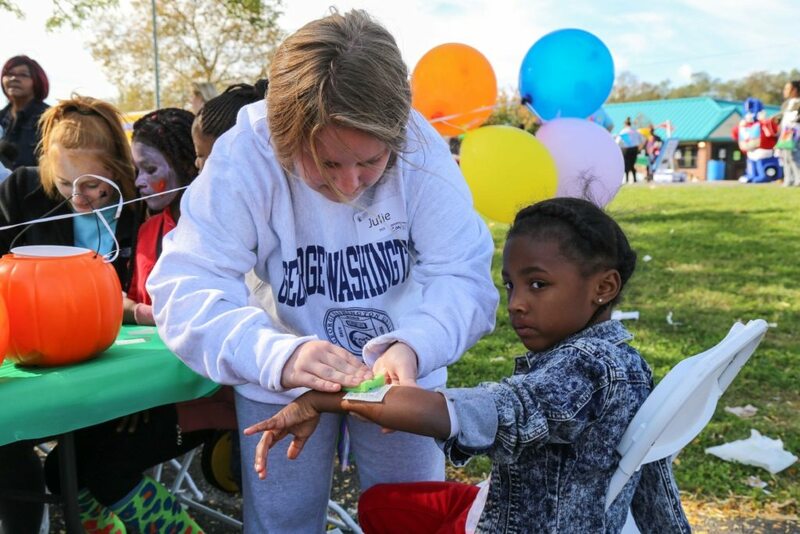 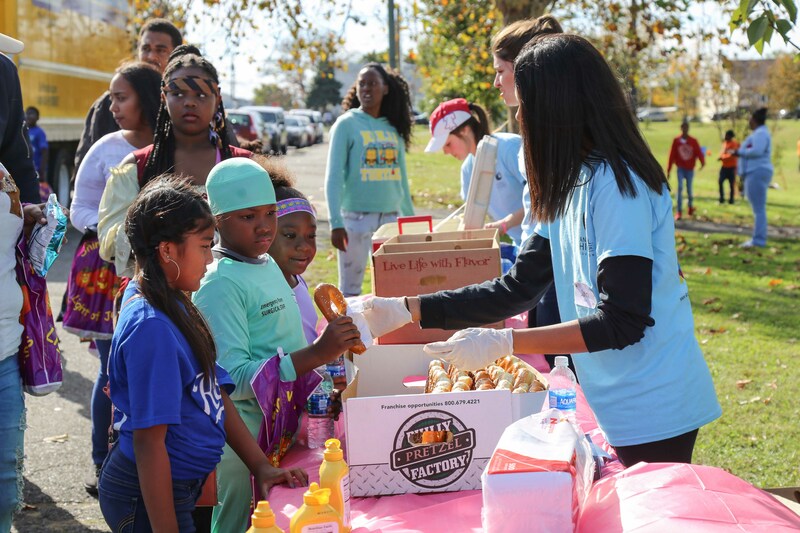 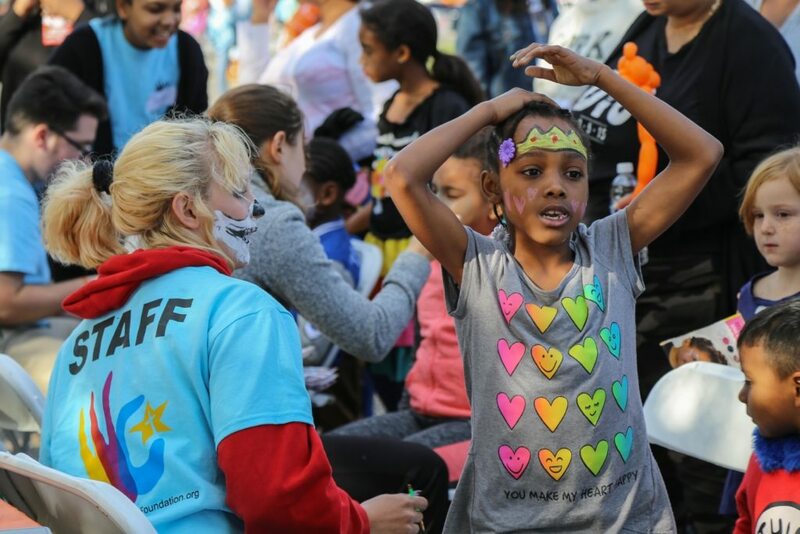 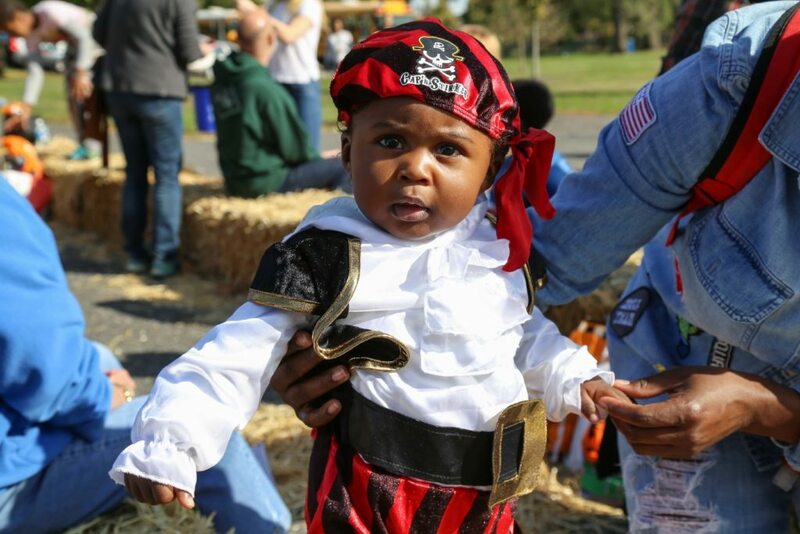 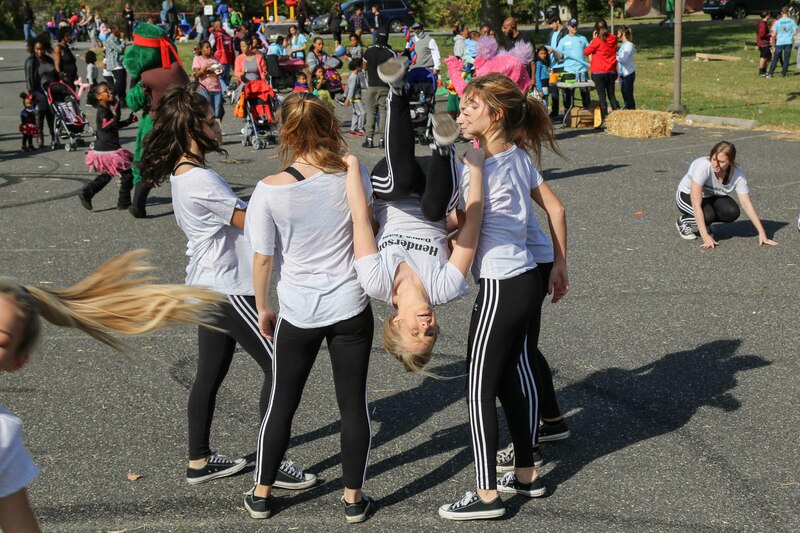 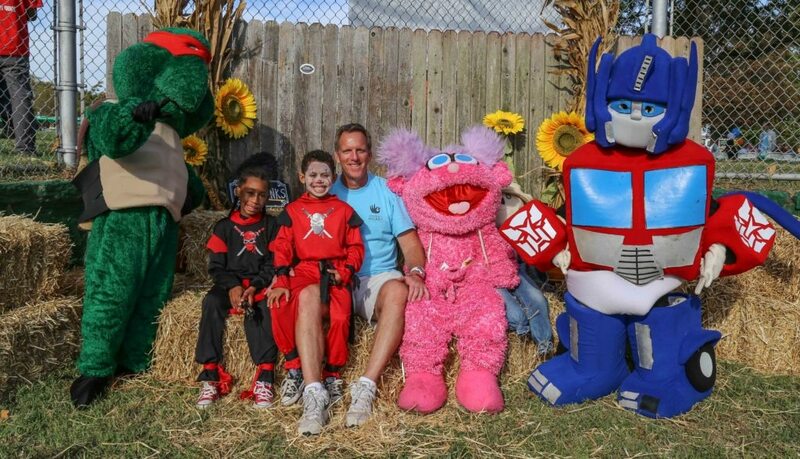 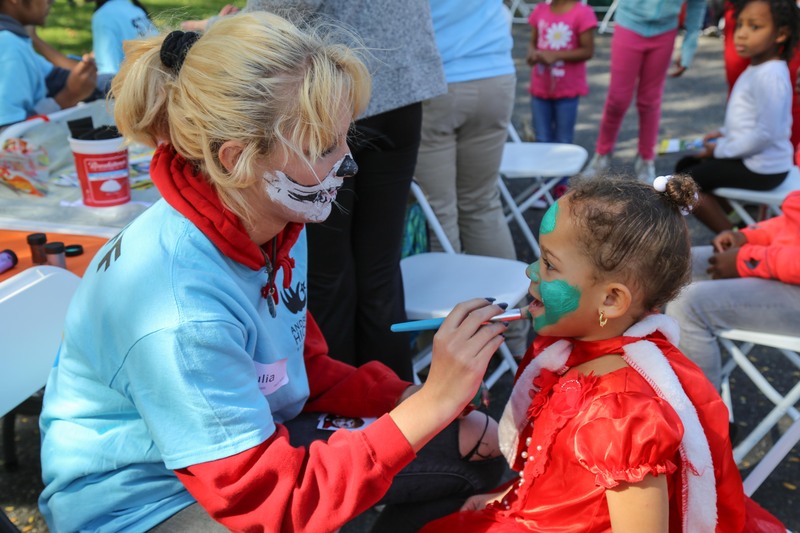 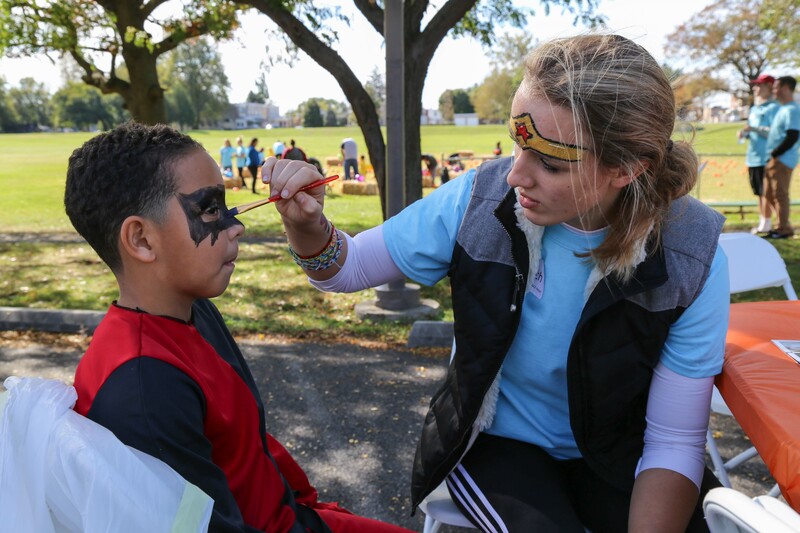 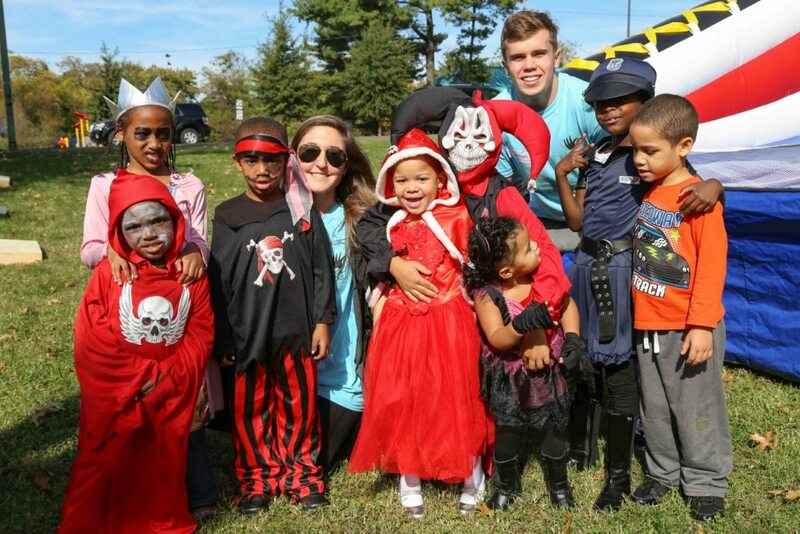 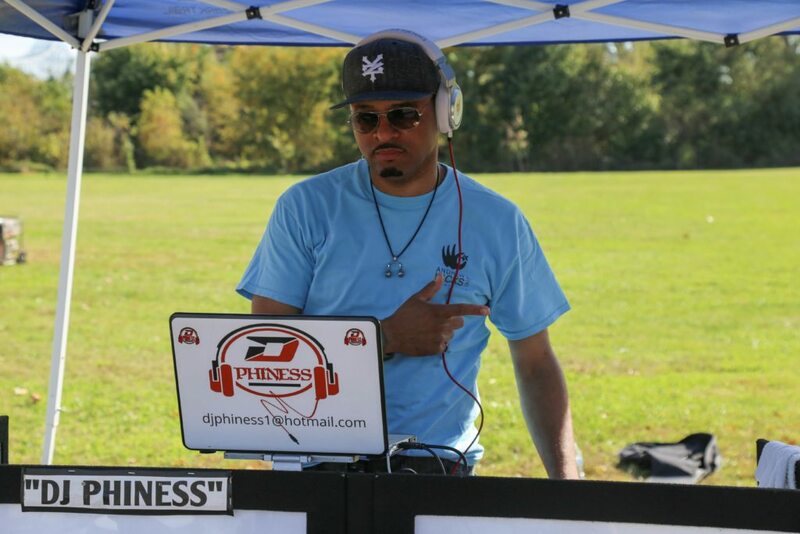 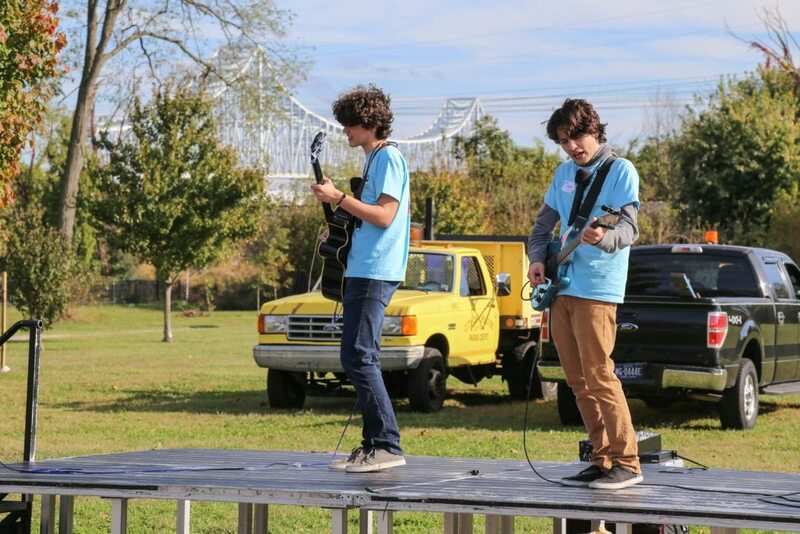 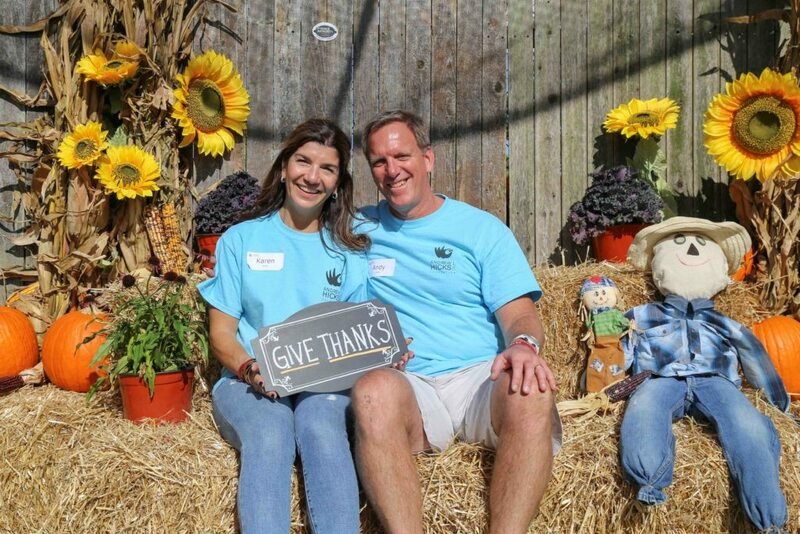 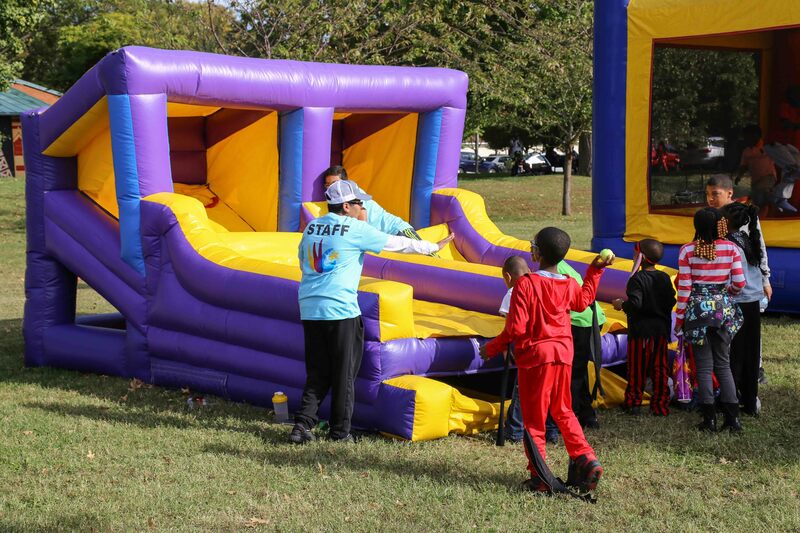 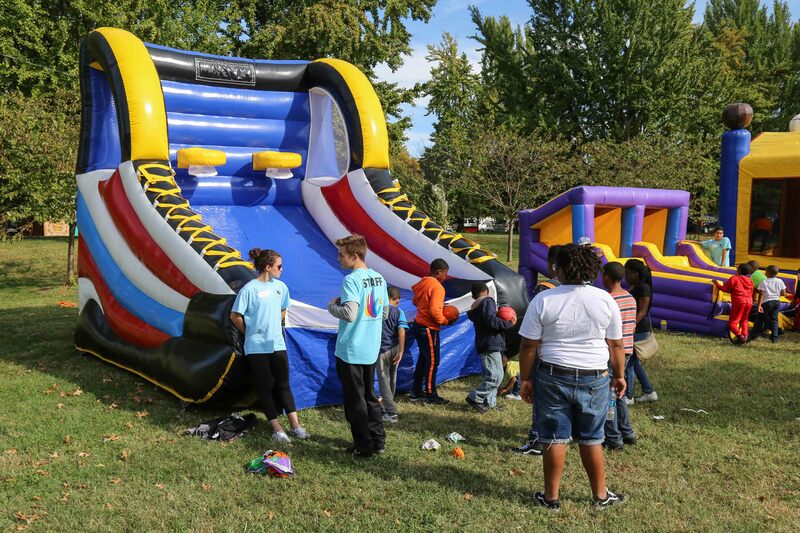 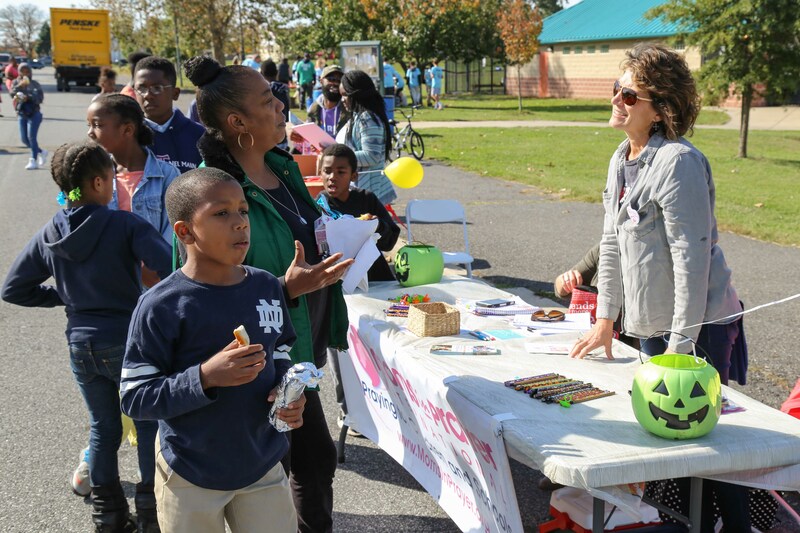 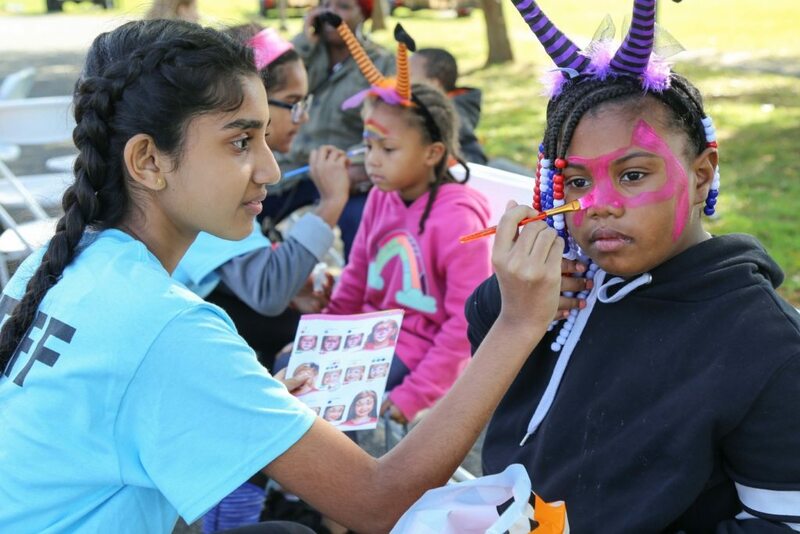 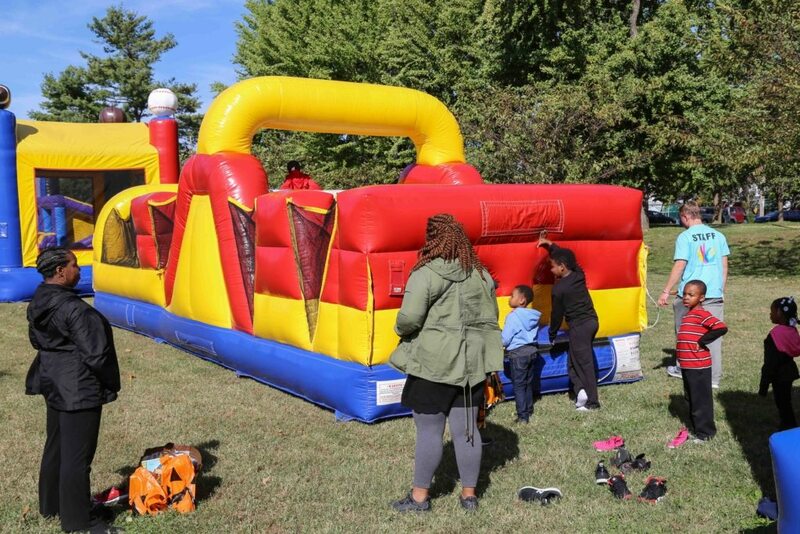 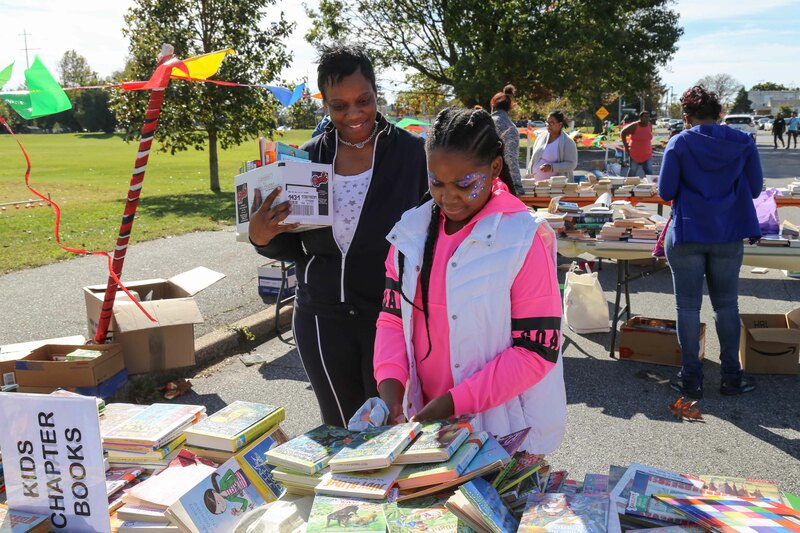 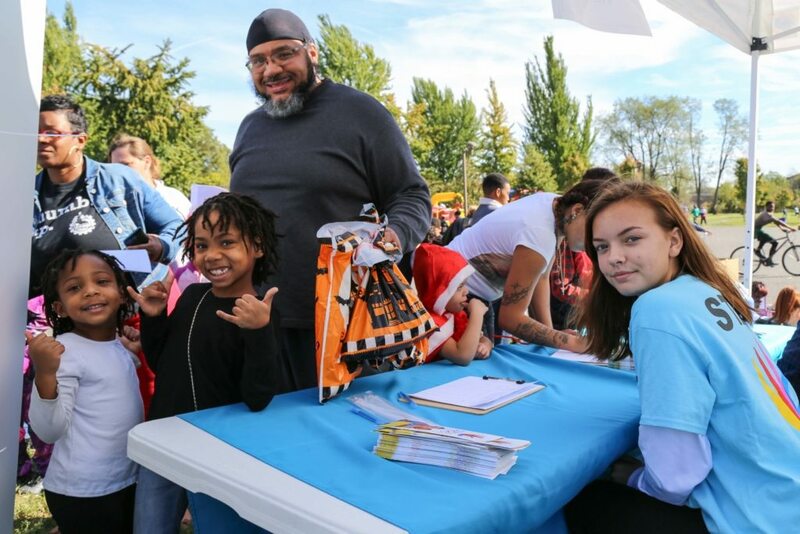 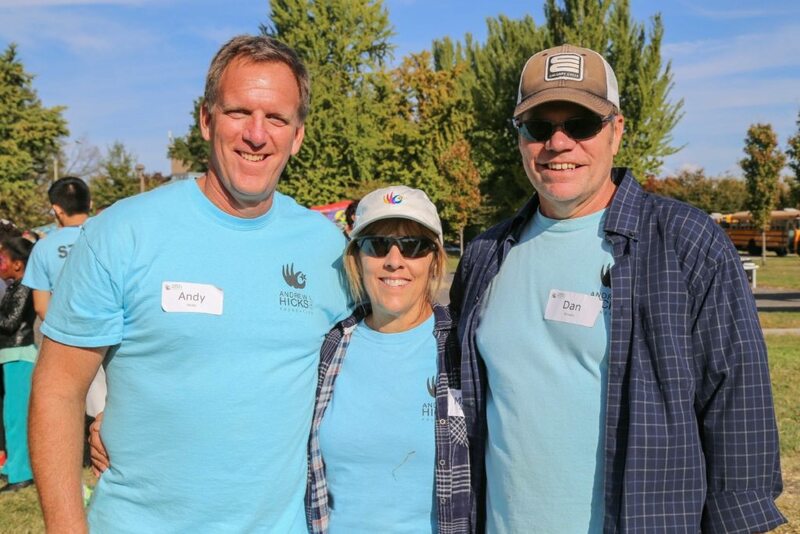 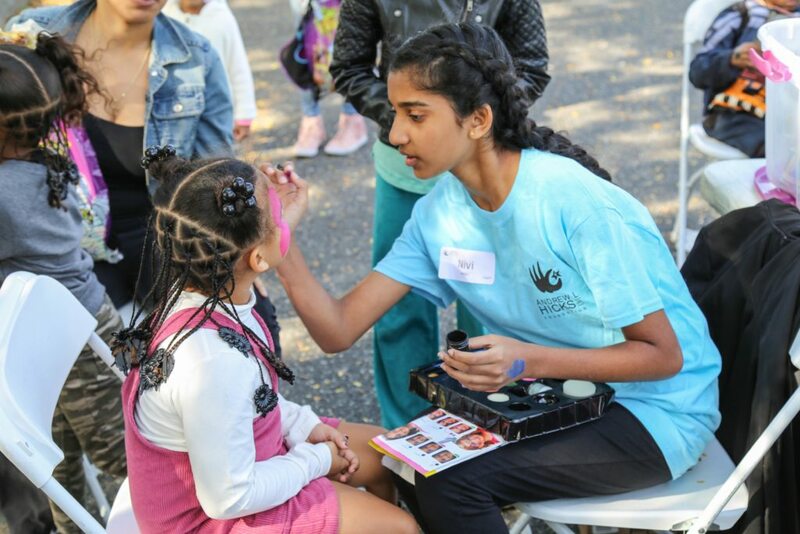 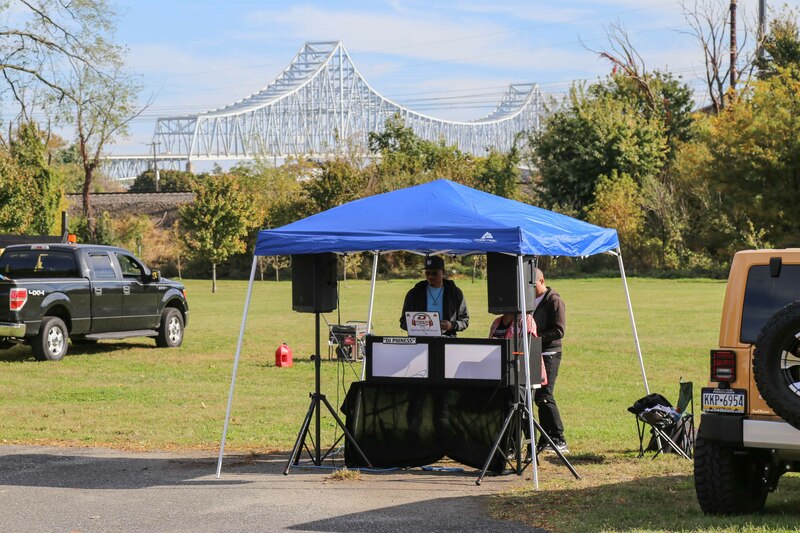 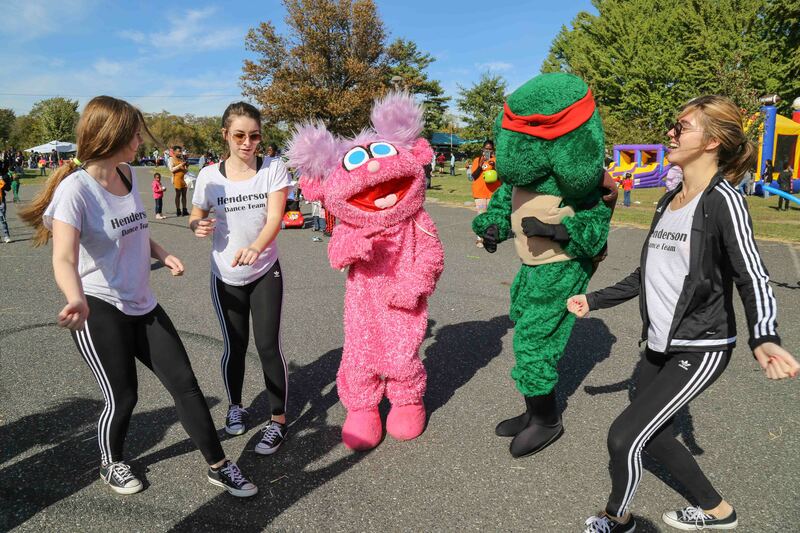 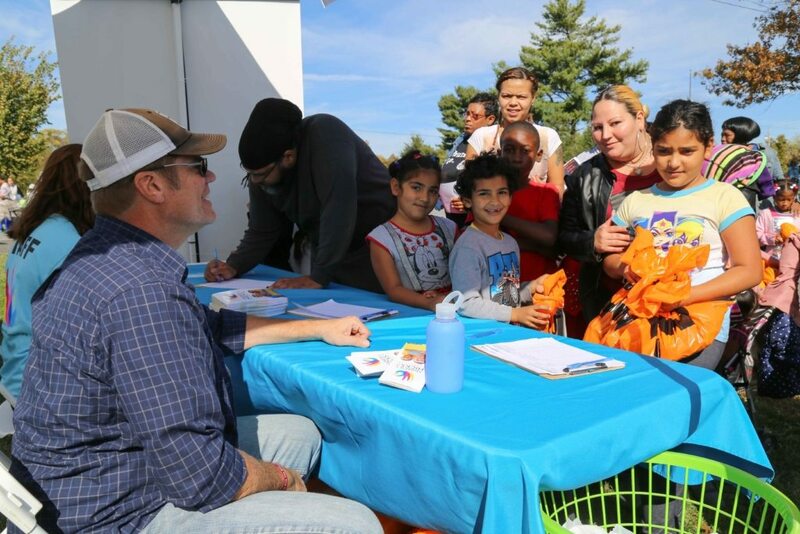 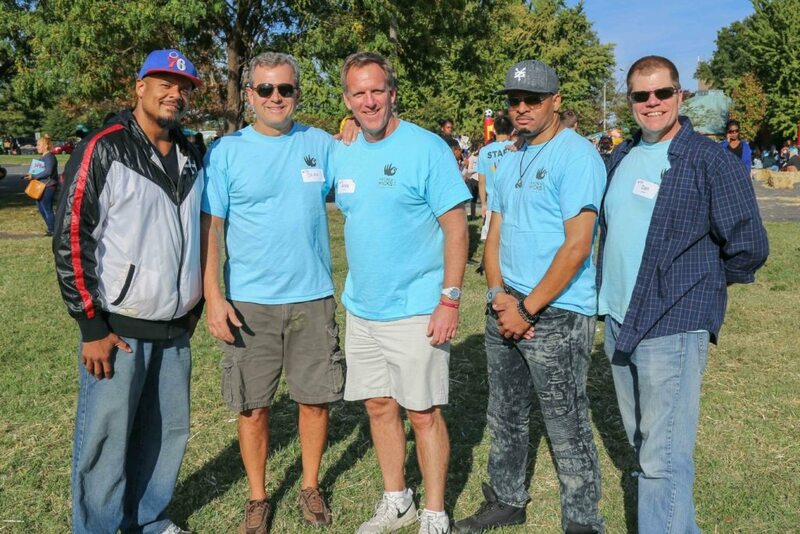 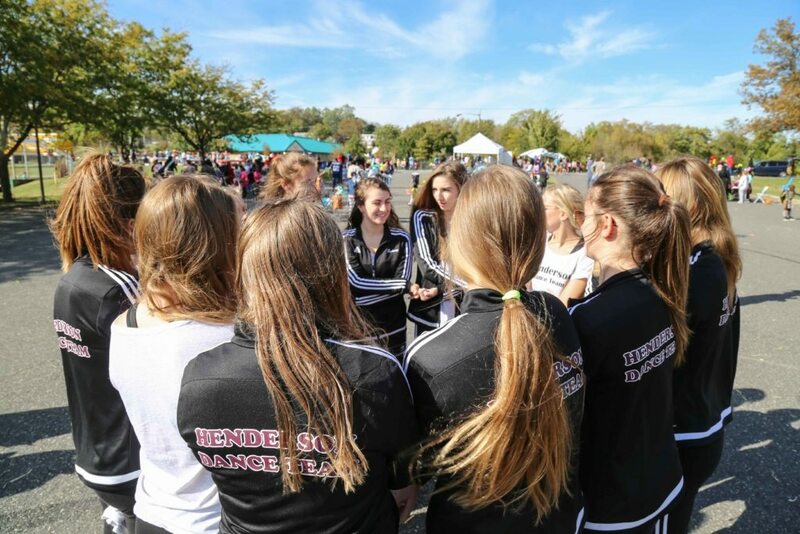 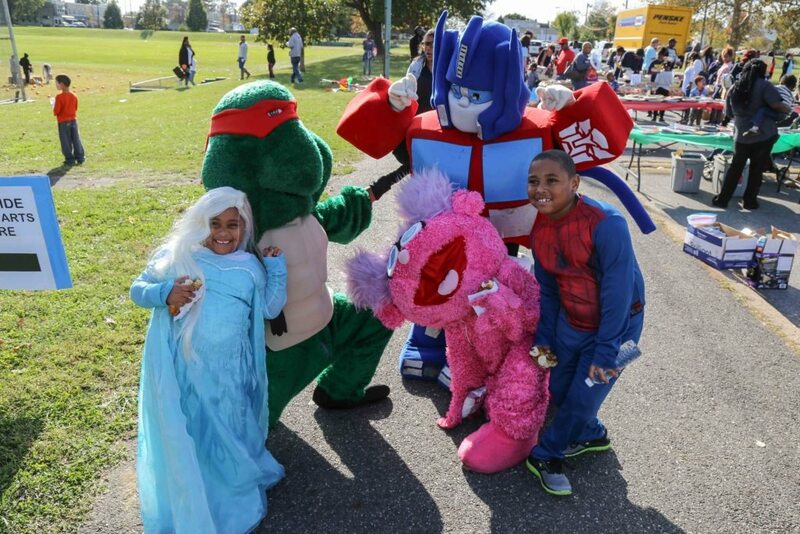 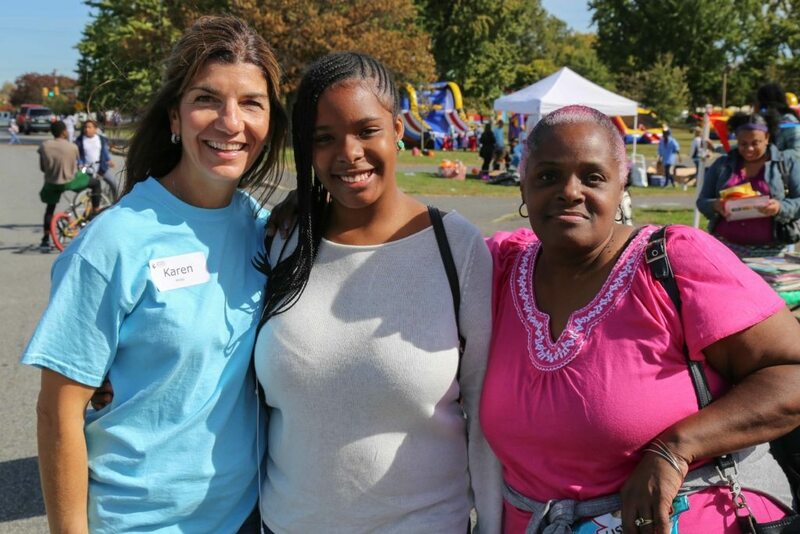 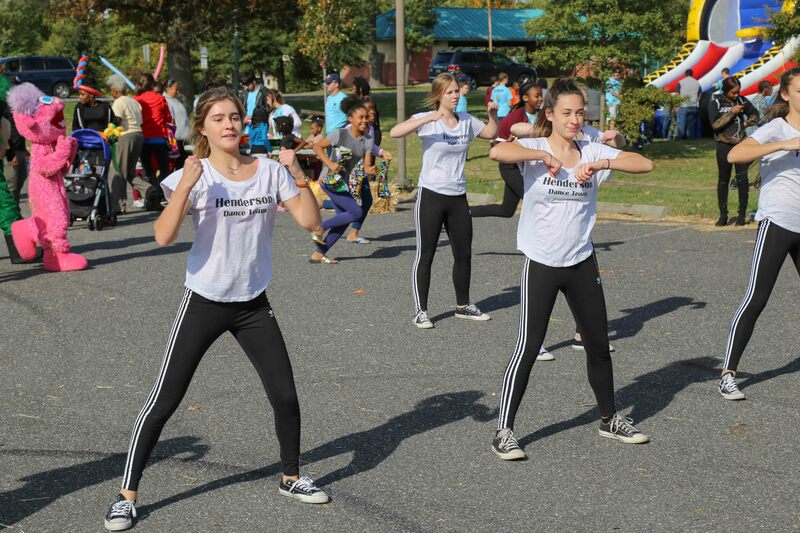 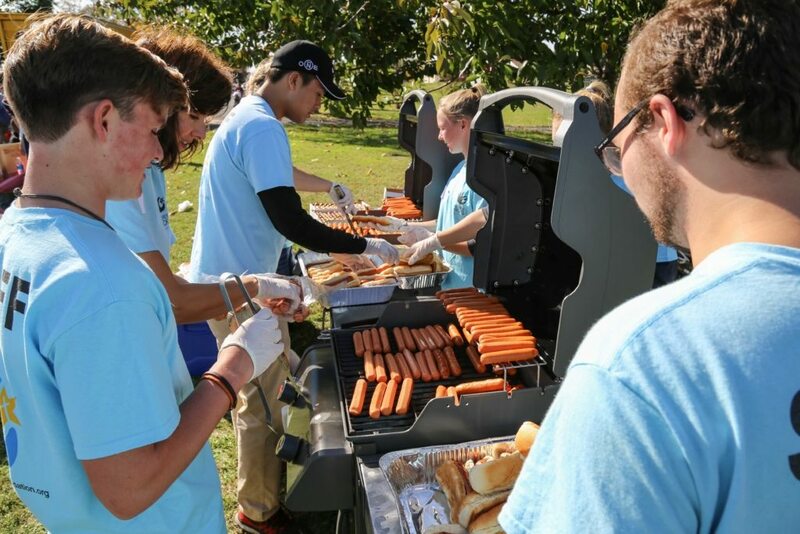 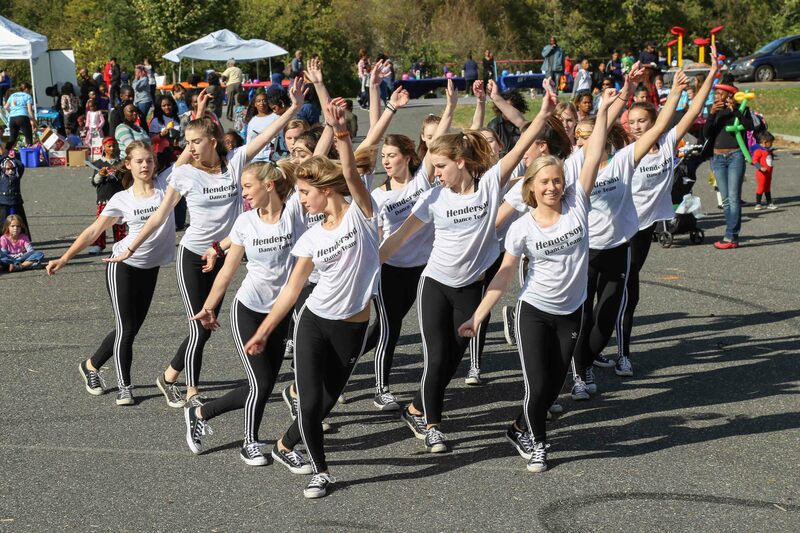 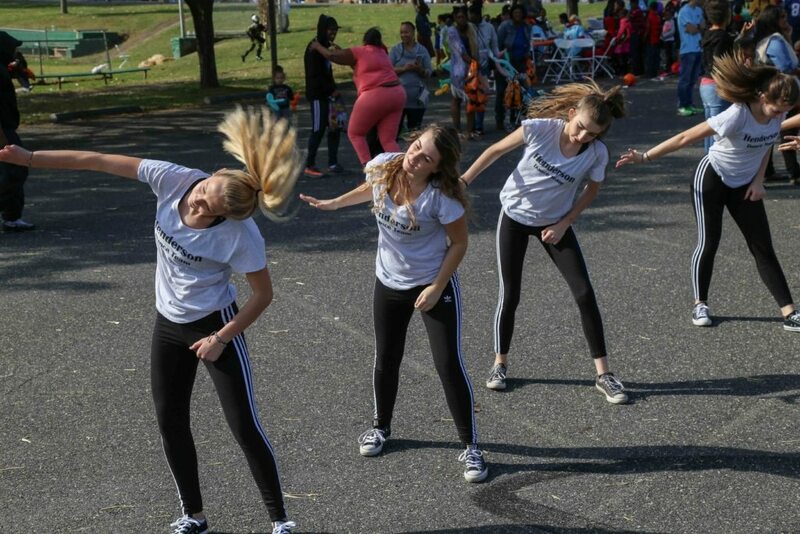 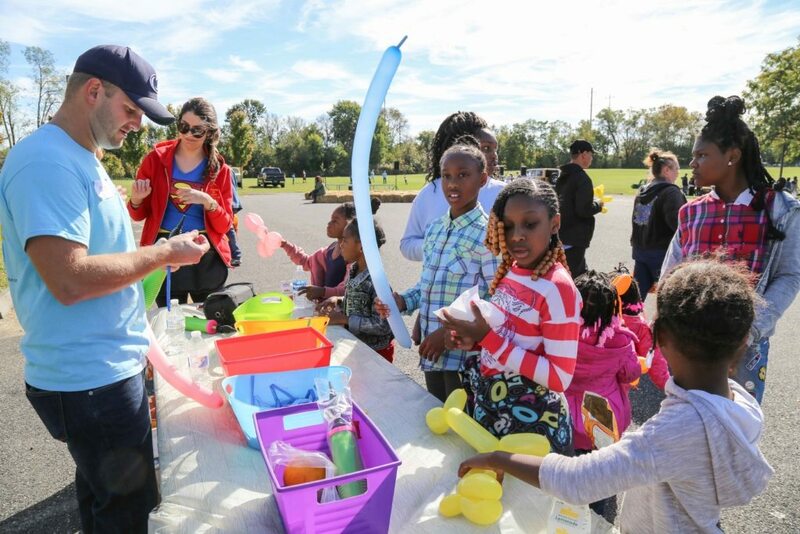 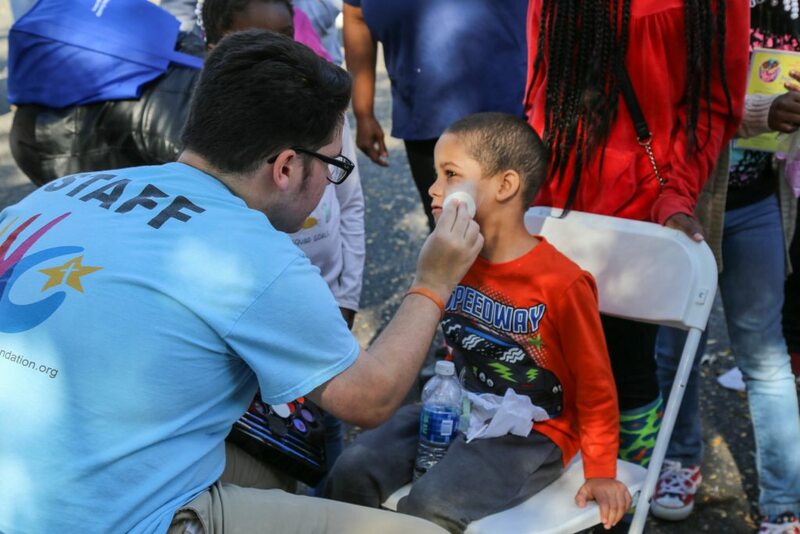 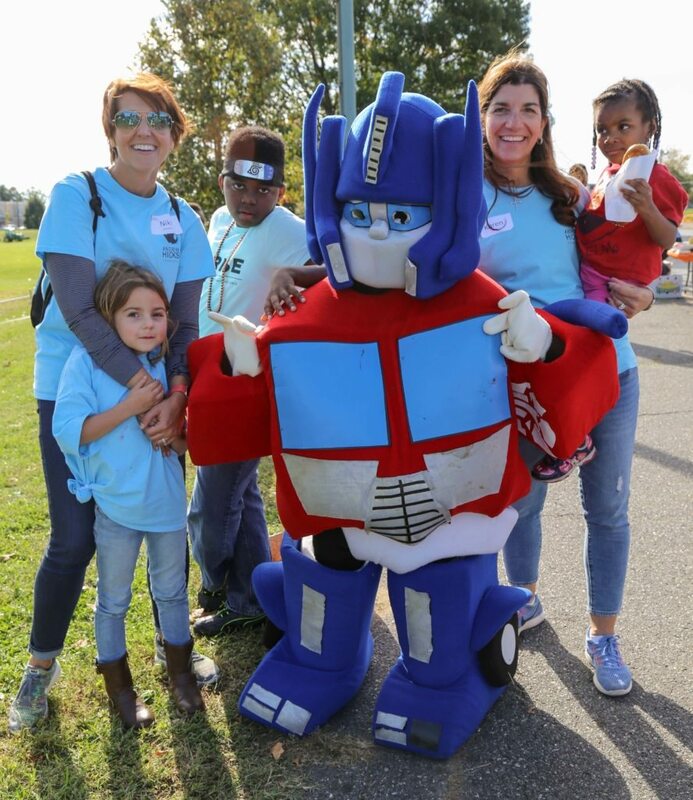 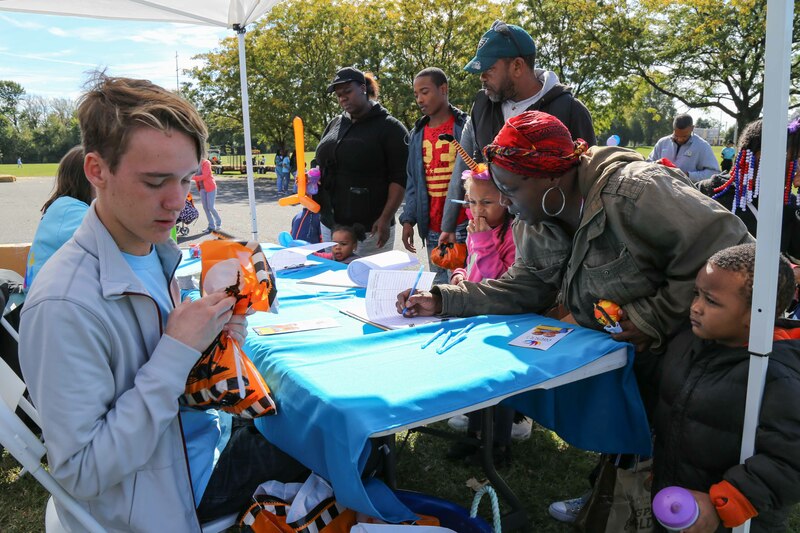 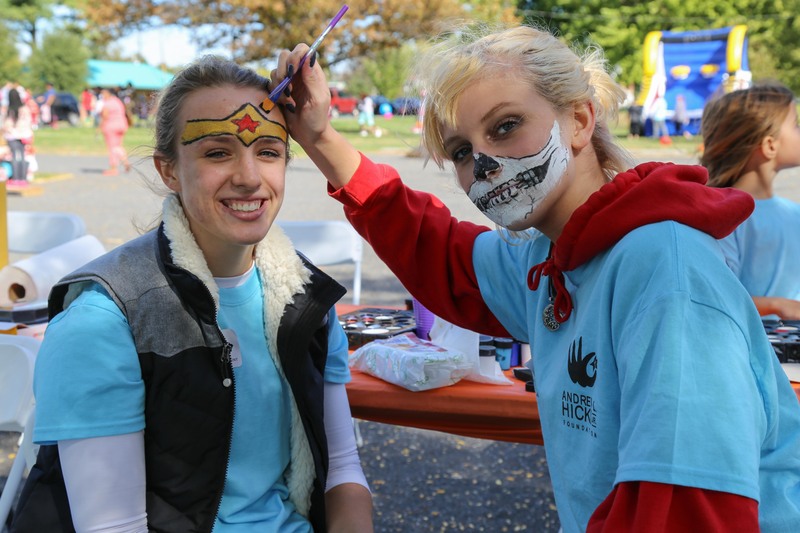 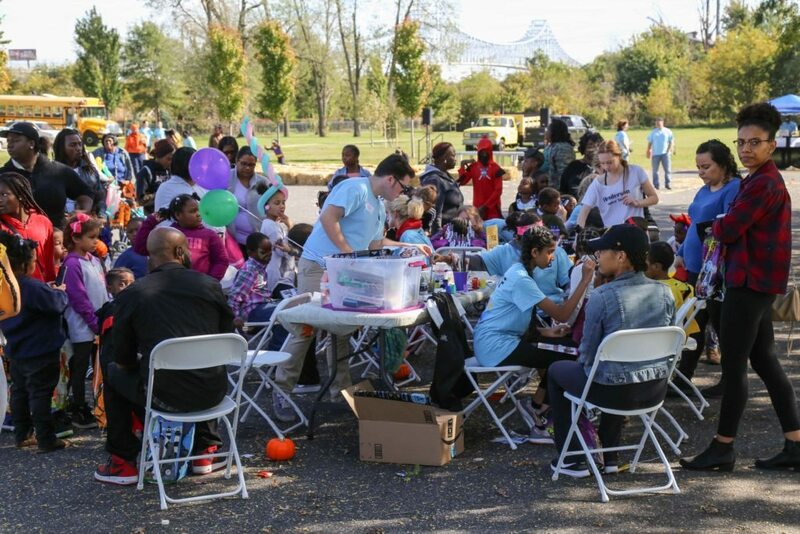 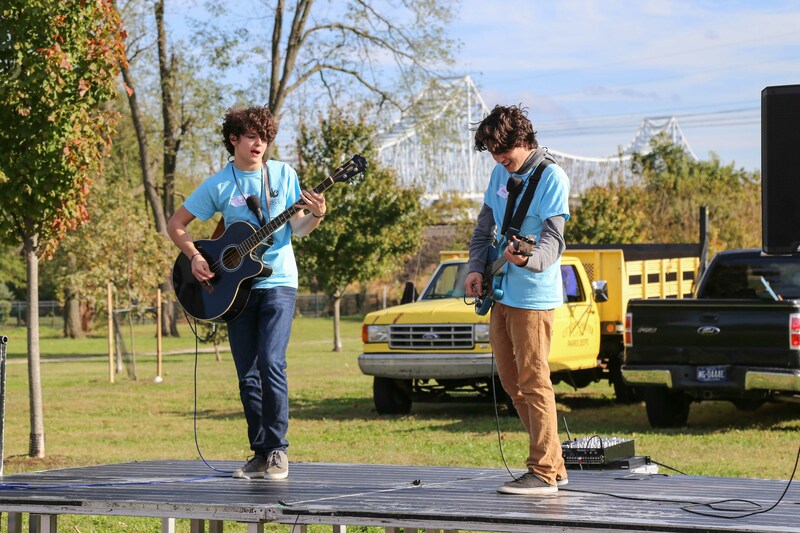 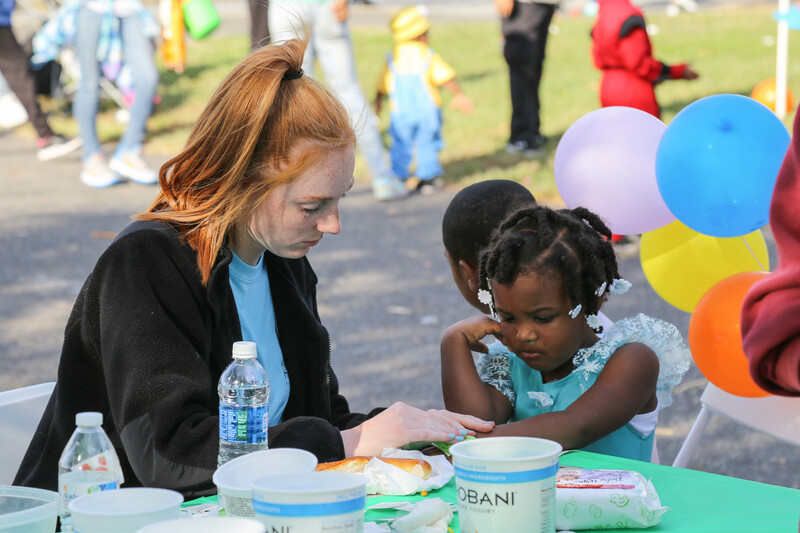 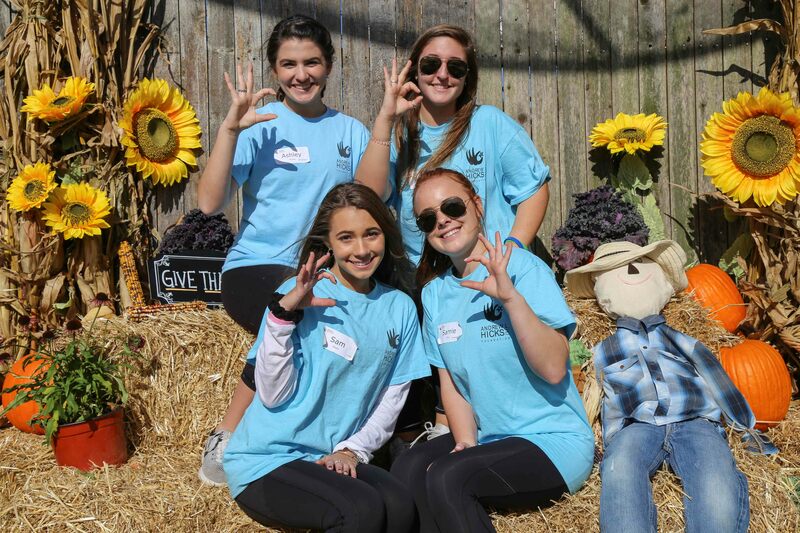 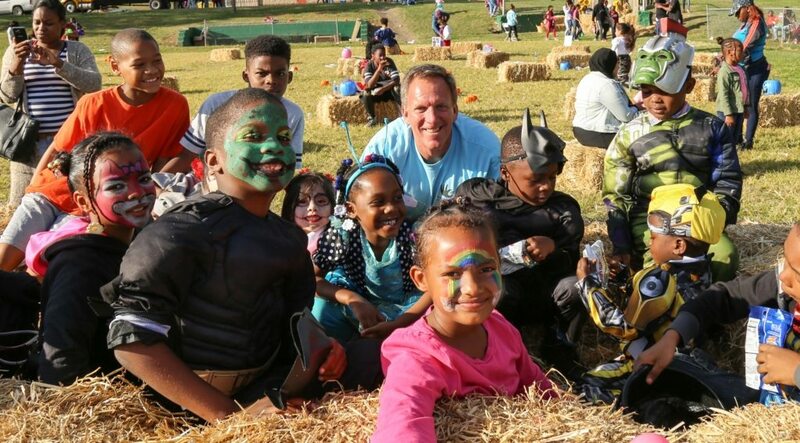 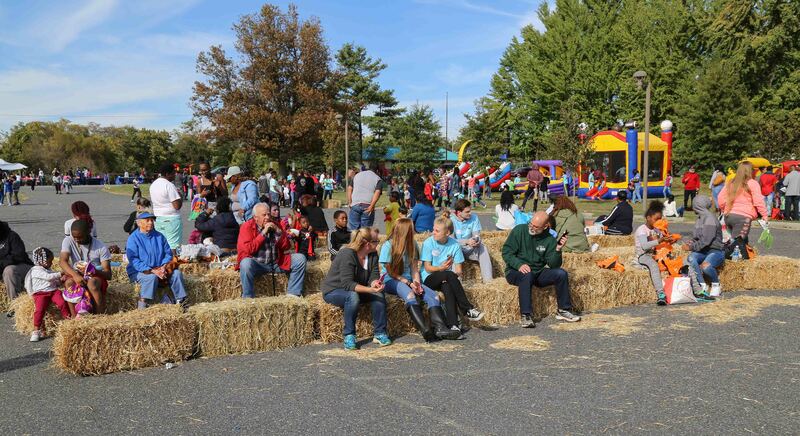 On Saturday October 28th the Foundation held its 8th Annual Fall Carnival in Chester Memorial Park. 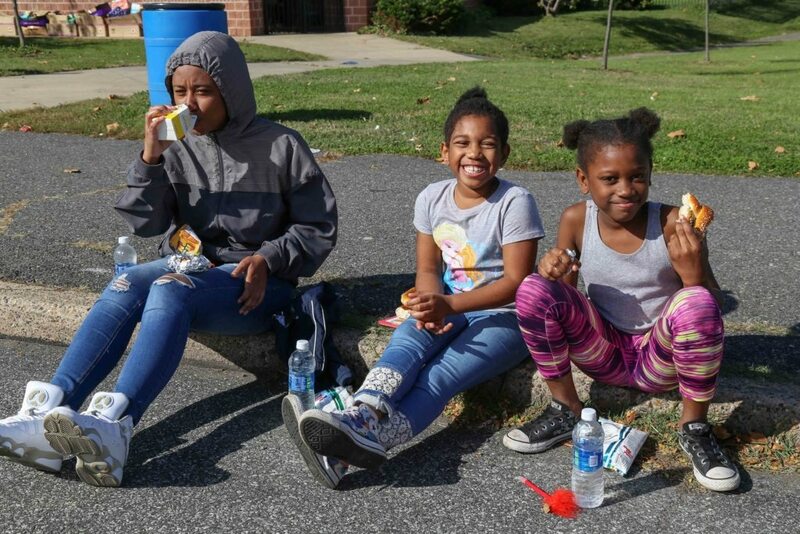 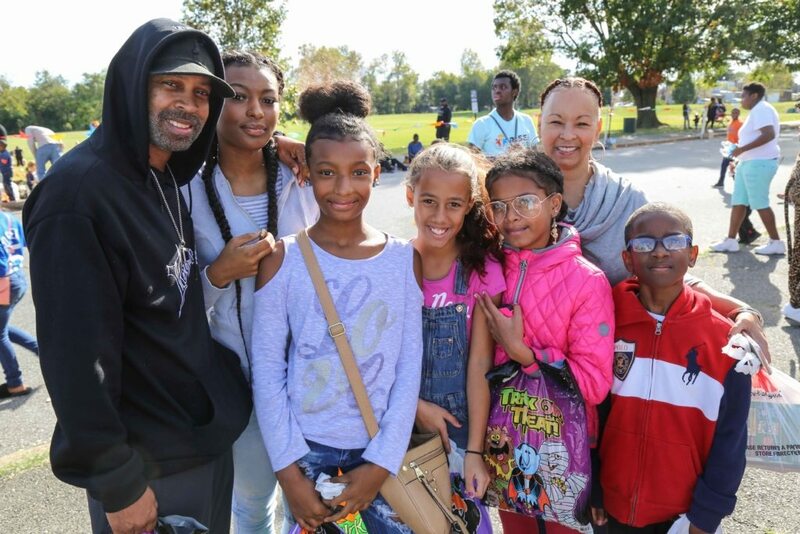 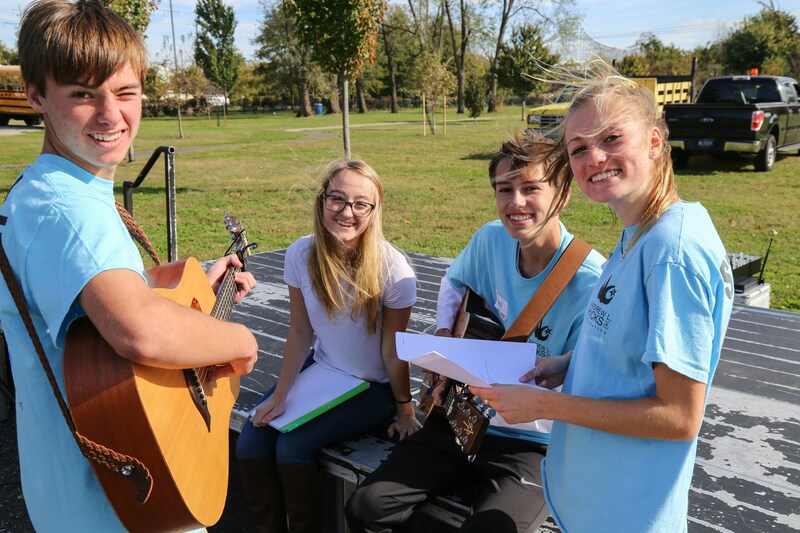 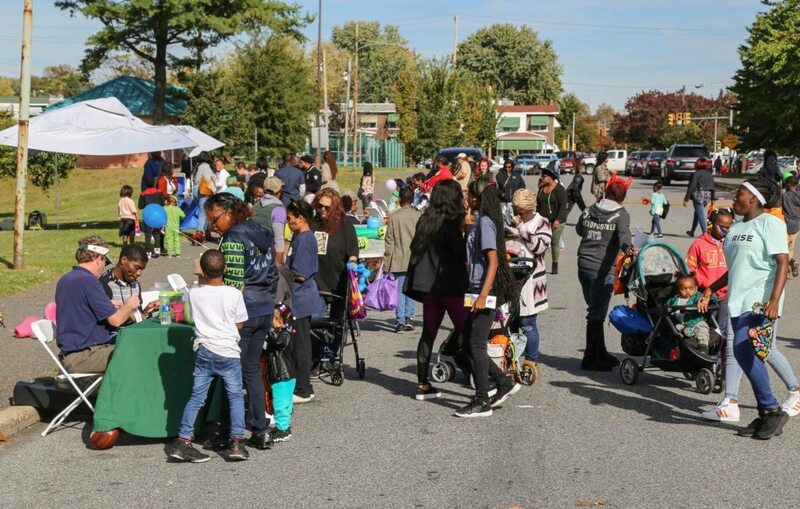 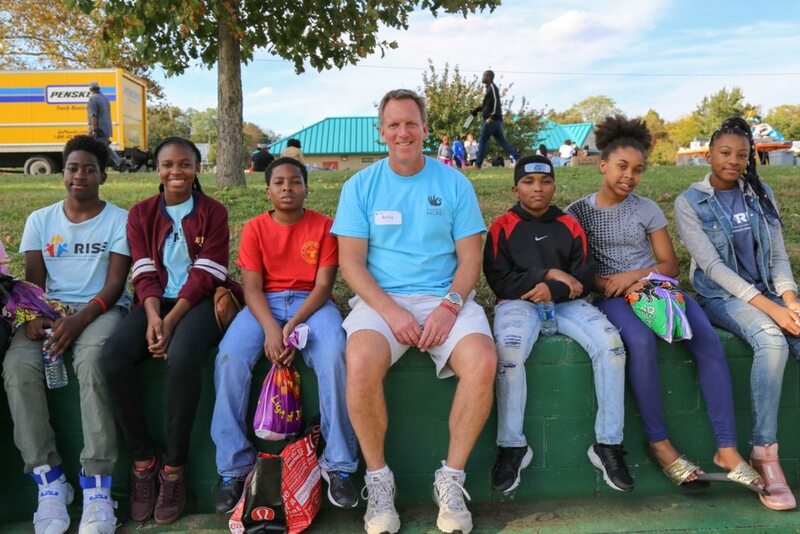 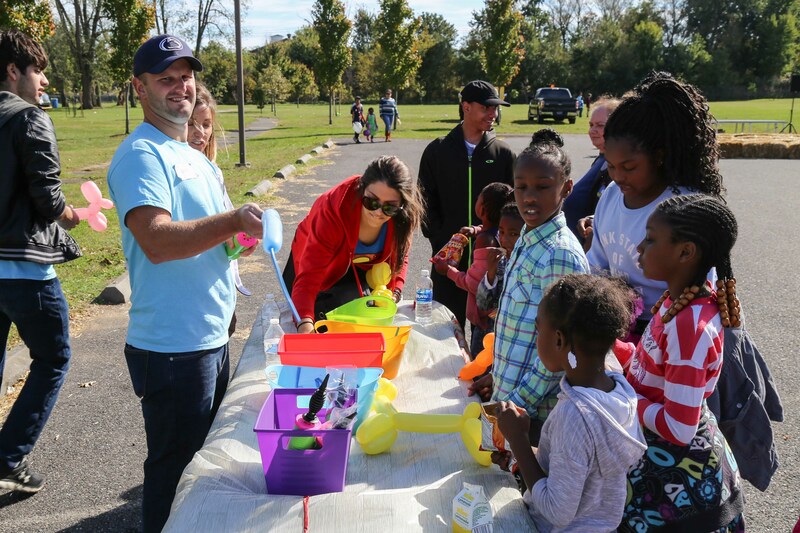 It was a beautiful fall day for over 1,200 Chester residents, to come out and enjoy the weather and spend time together. Four Henderson seniors, Corinne Ahrens, Samie Fox, Sam Gilpin, and Ashley Prince worked for weeks planning this large under taking of an event and their hard definitely payed off! 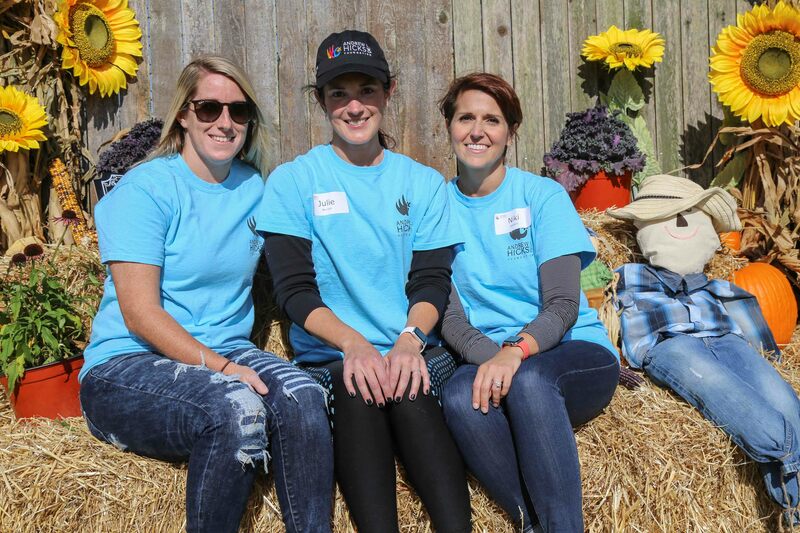 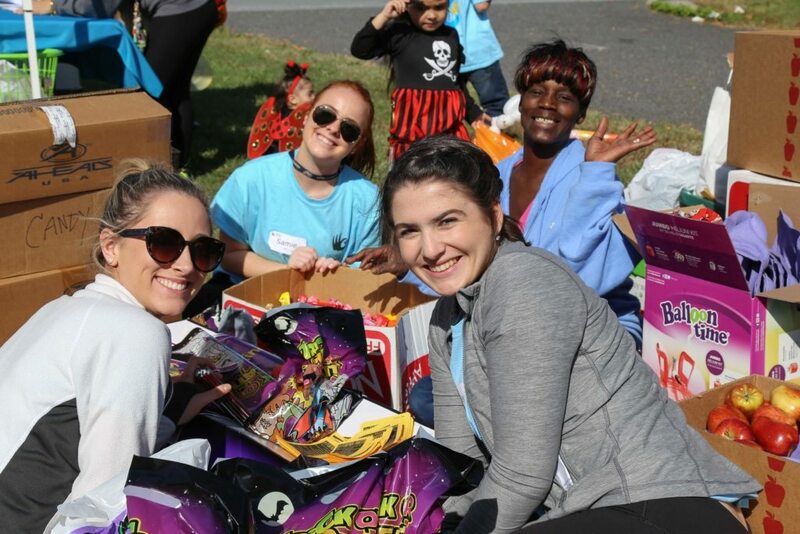 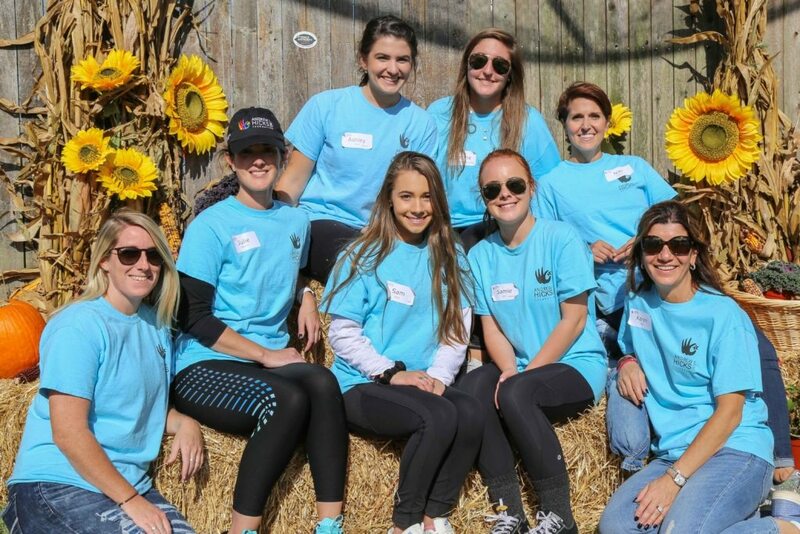 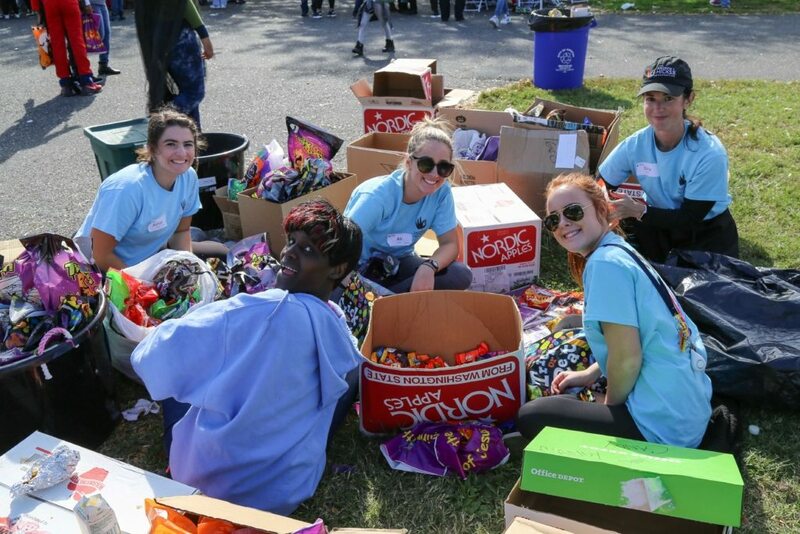 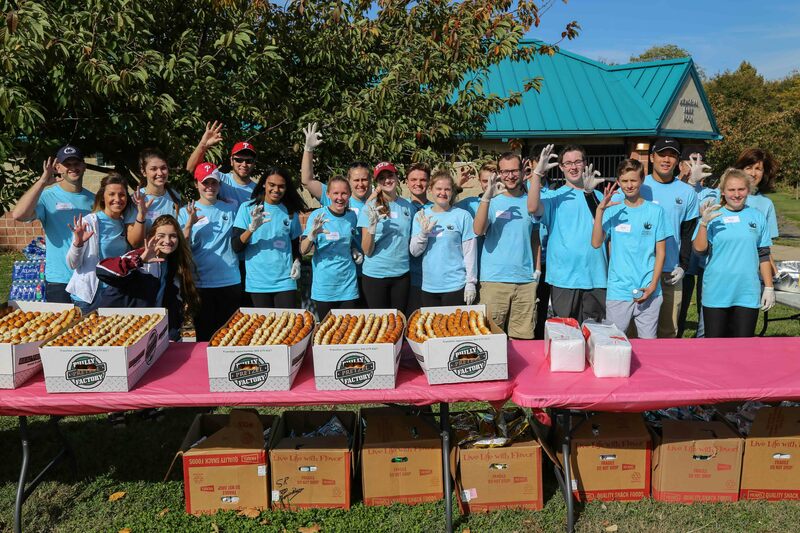 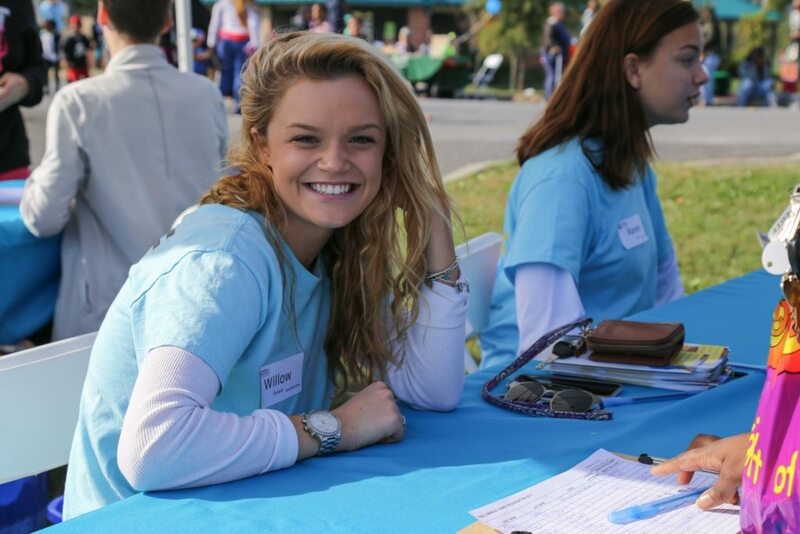 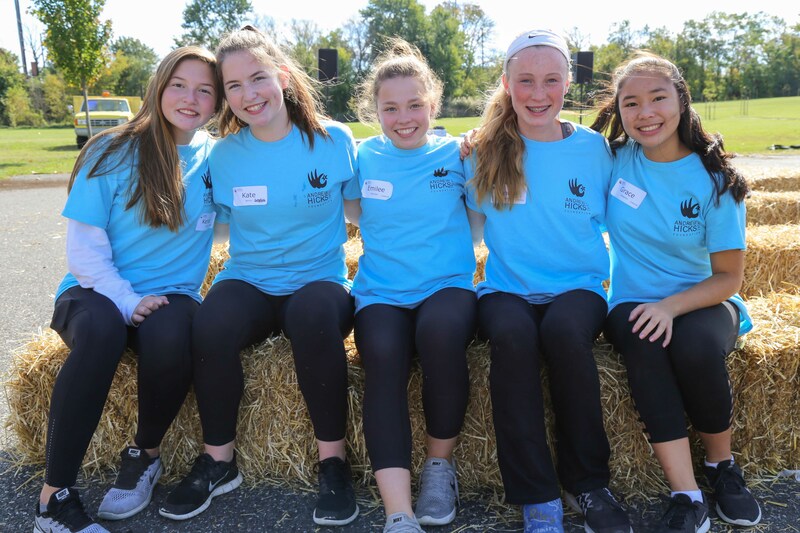 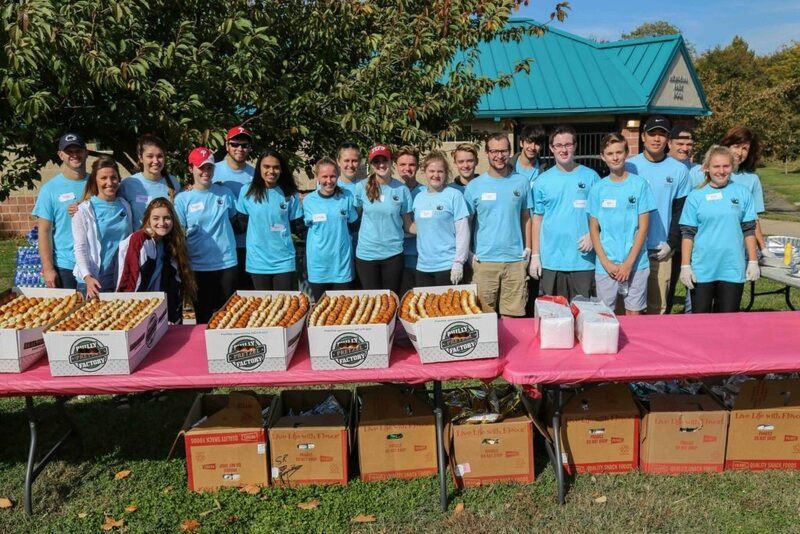 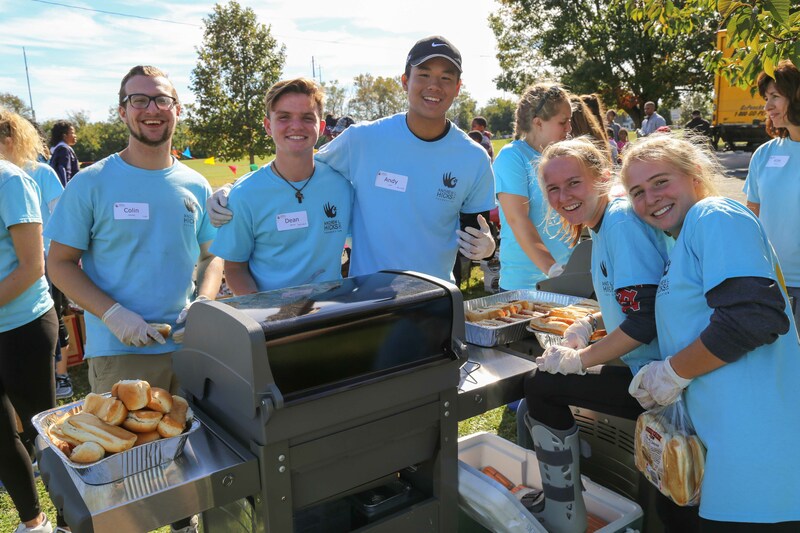 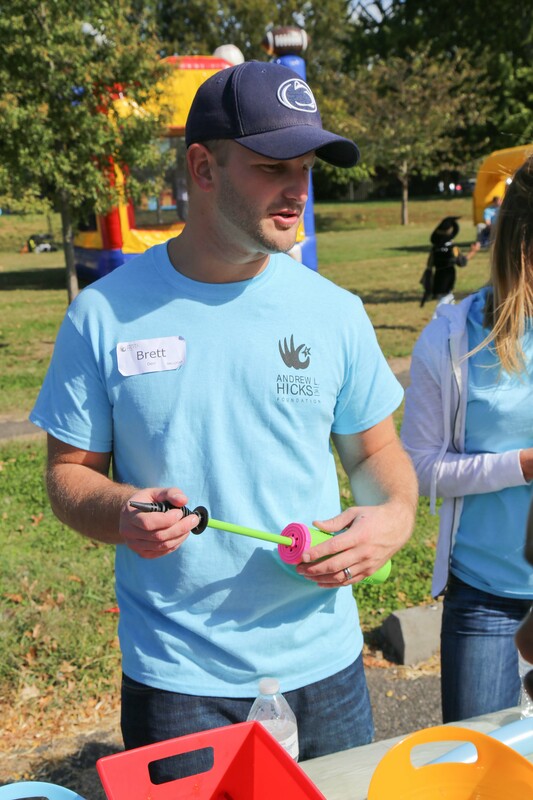 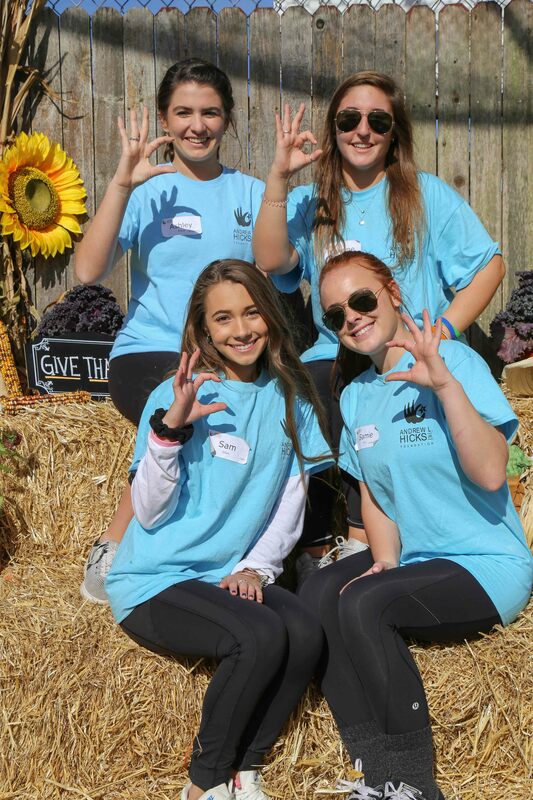 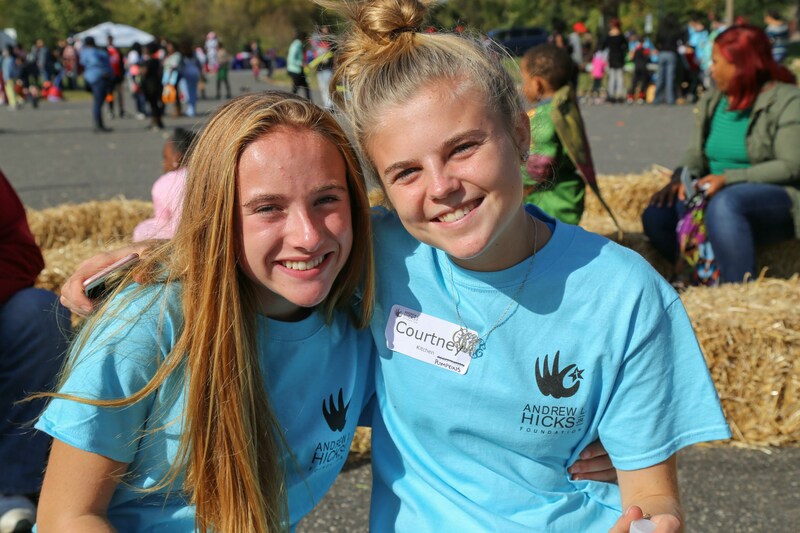 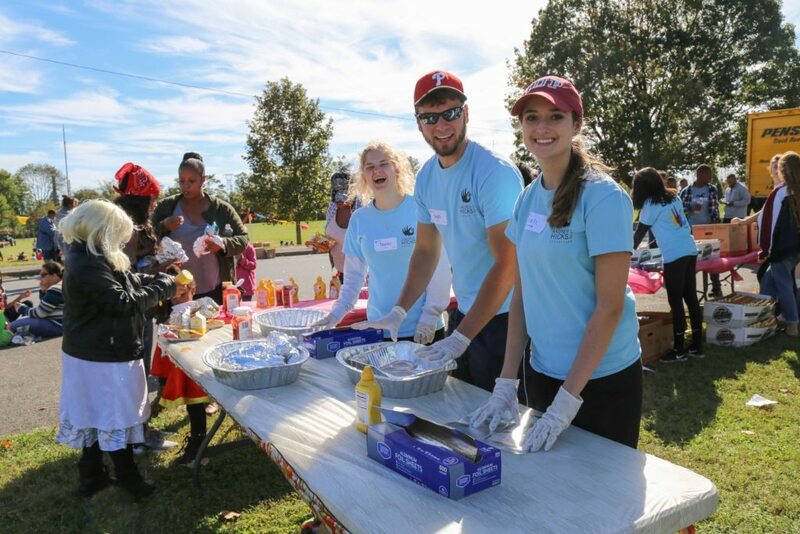 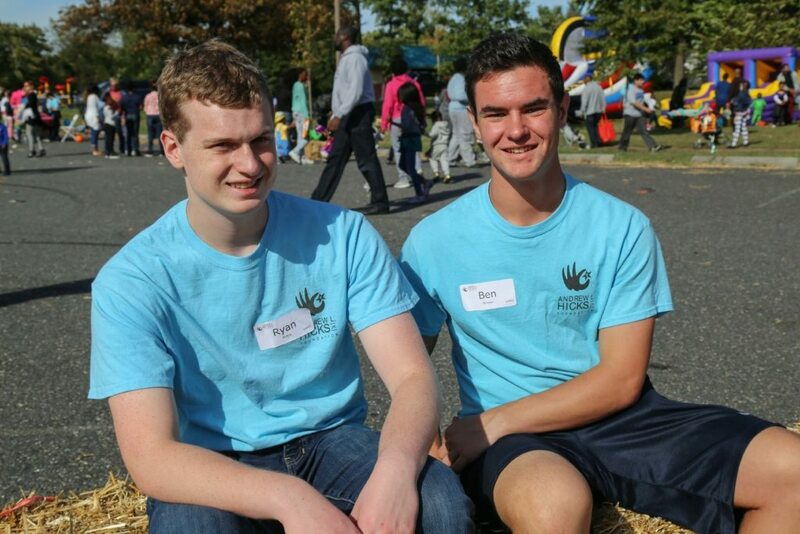 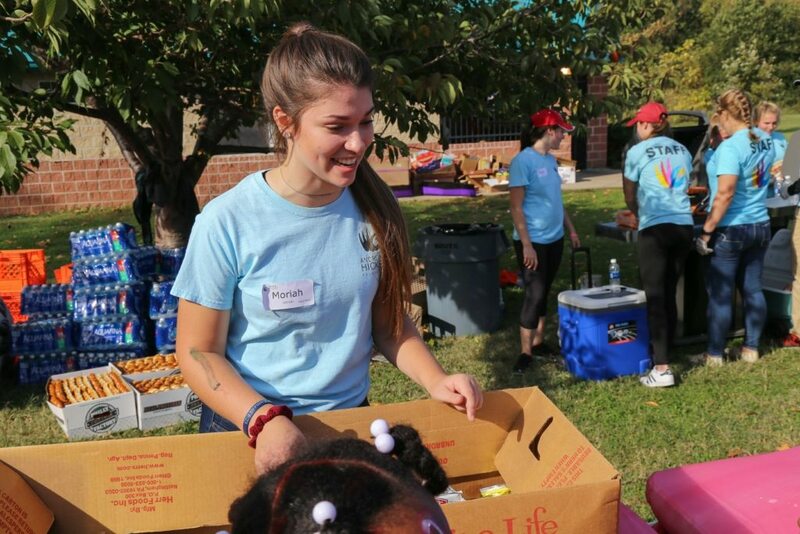 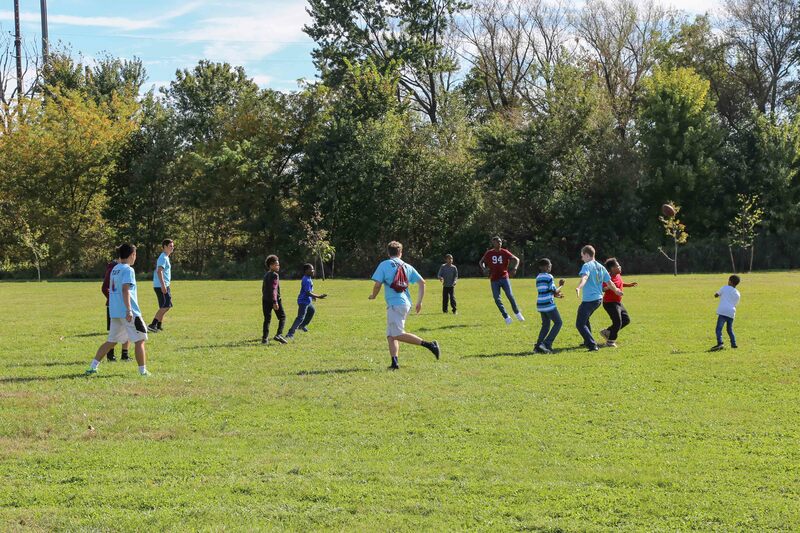 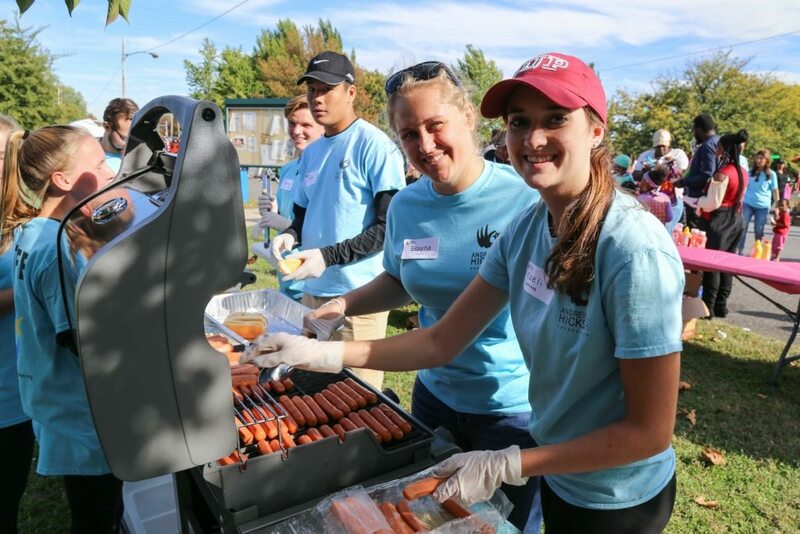 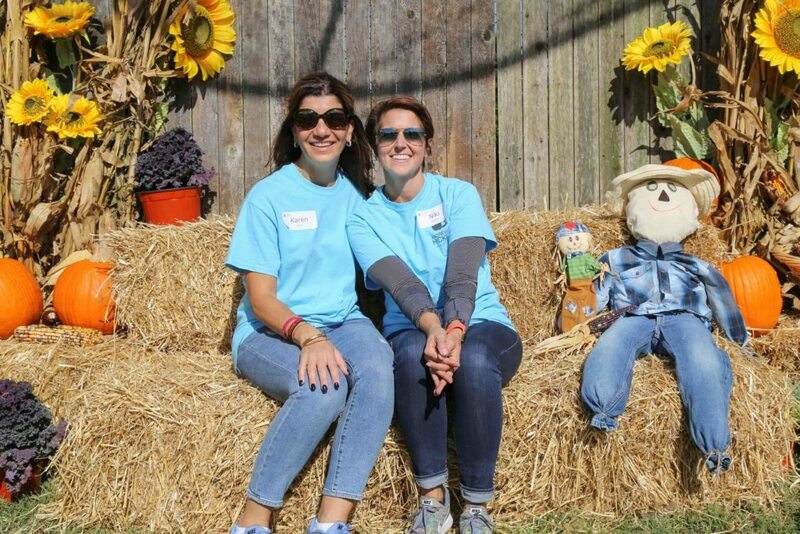 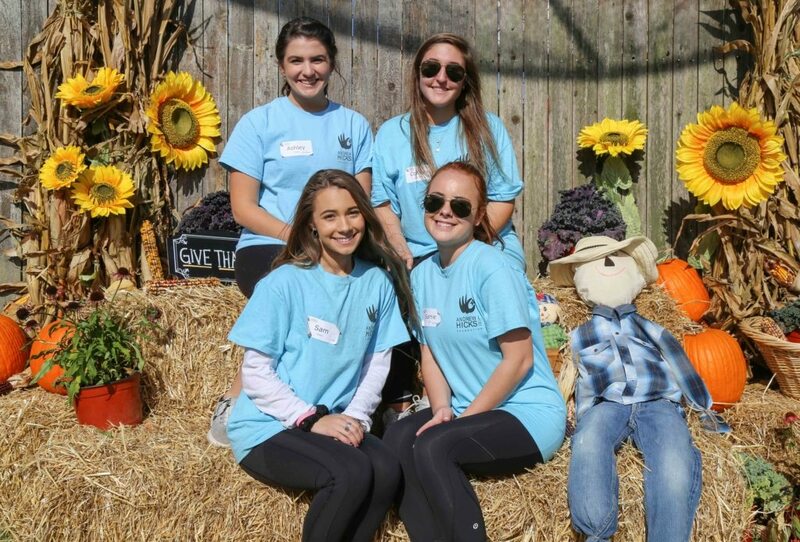 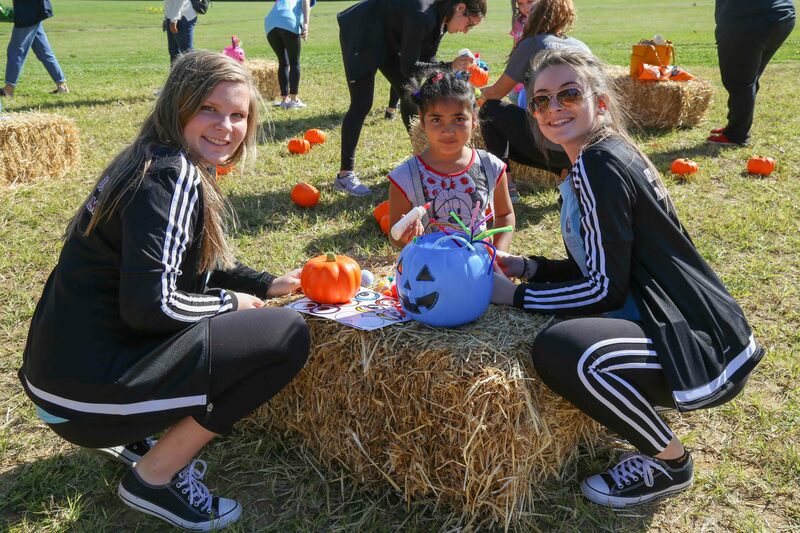 They were able to recruit almost 90 volunteers from the West Chester area, and plan various fall activities for the families to enjoy! 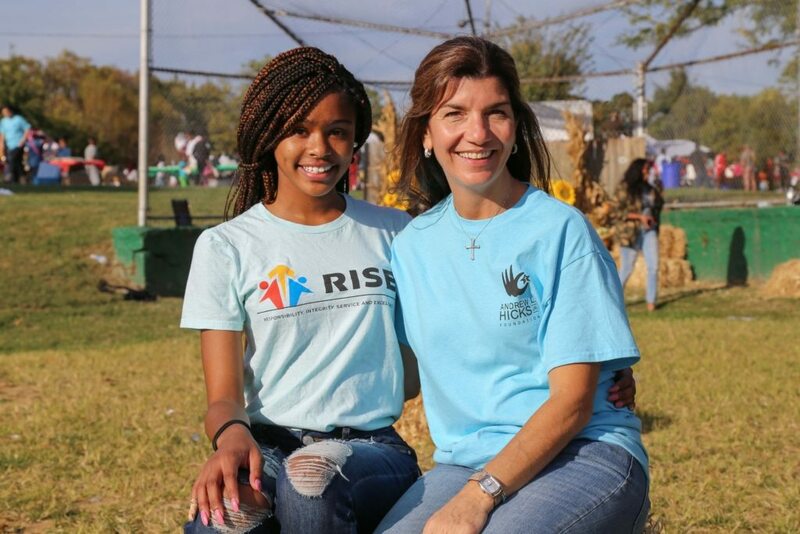 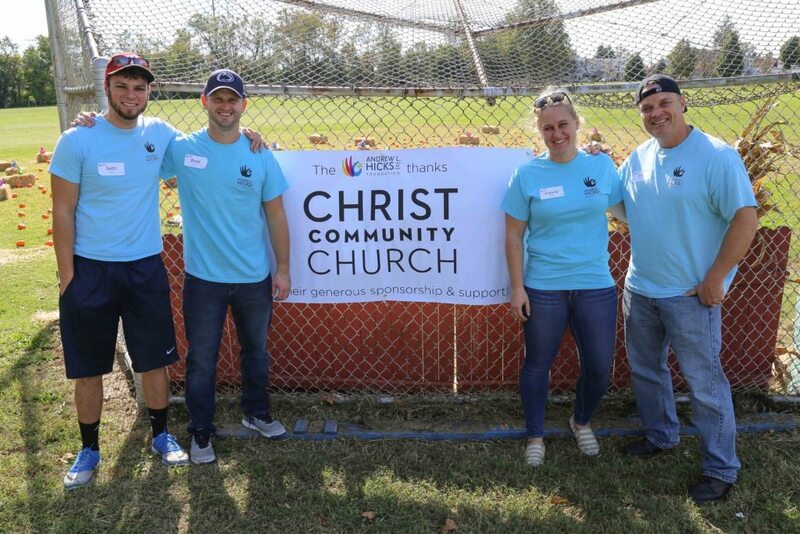 A special thank you also goes to Christ Community Church who both sponsored the event and participated as volunteers for the day. 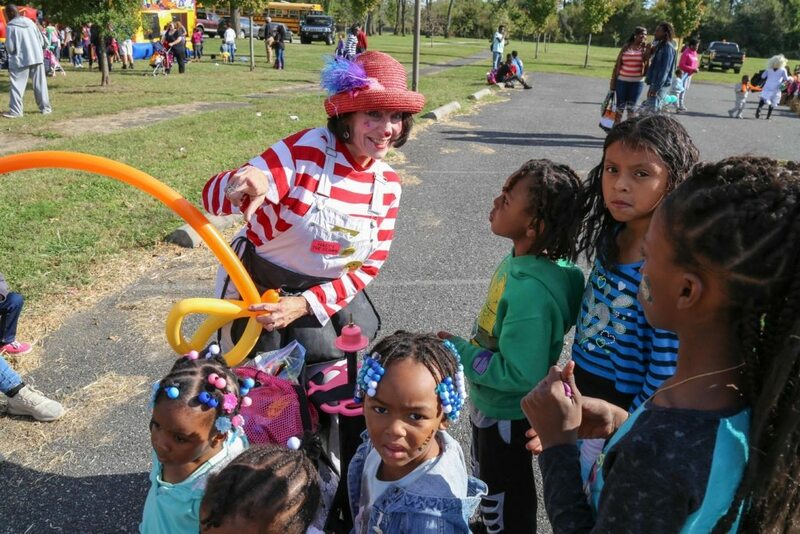 The Carnival was spread through out Chester Memorial park with so many things to enjoy. 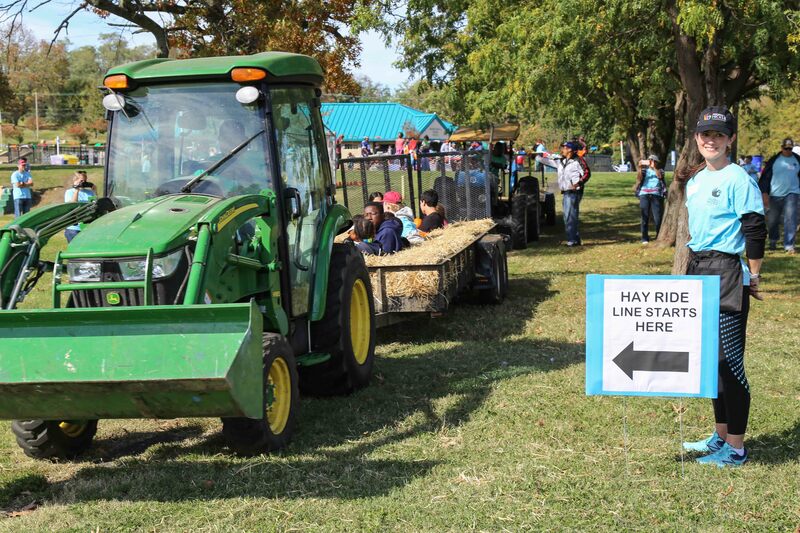 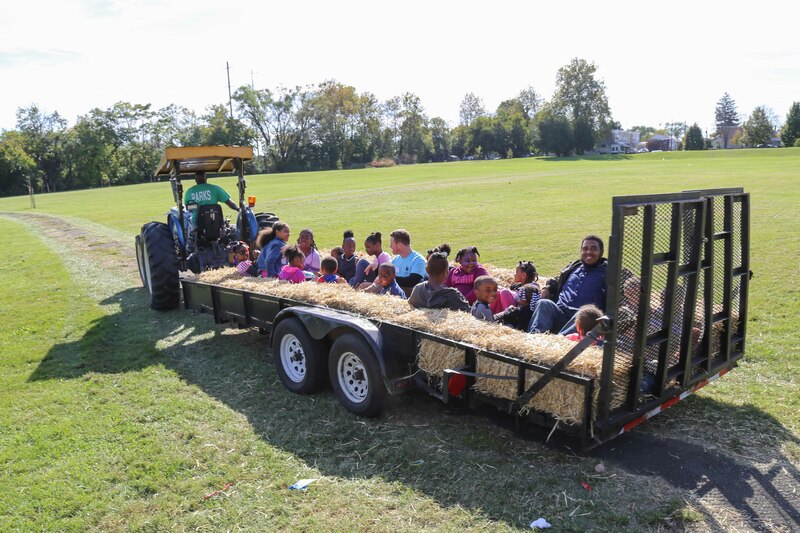 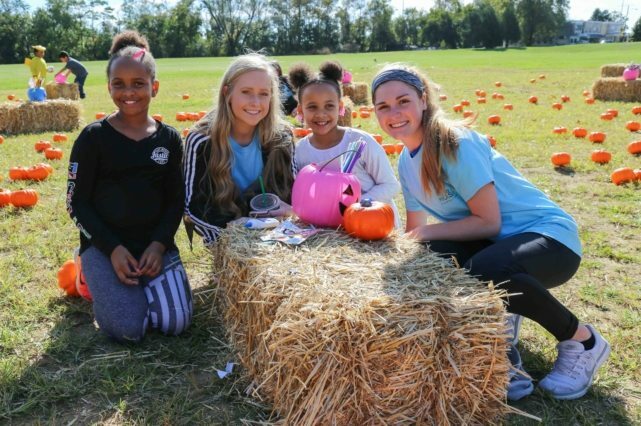 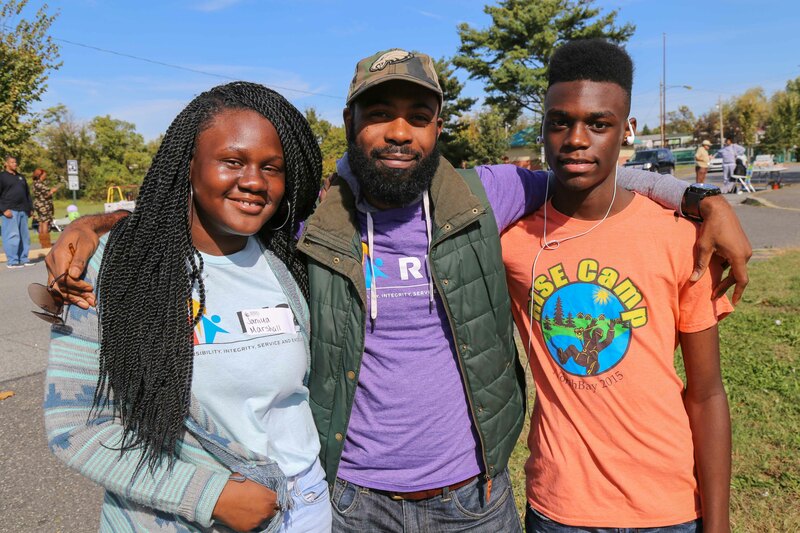 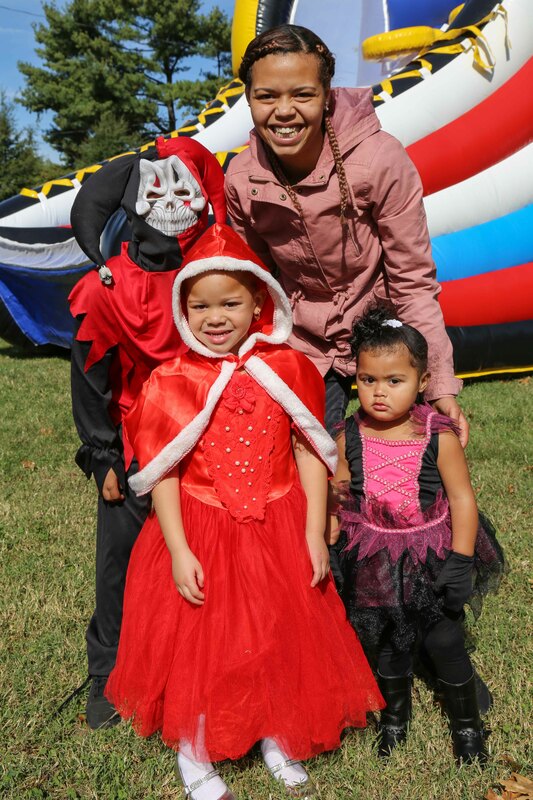 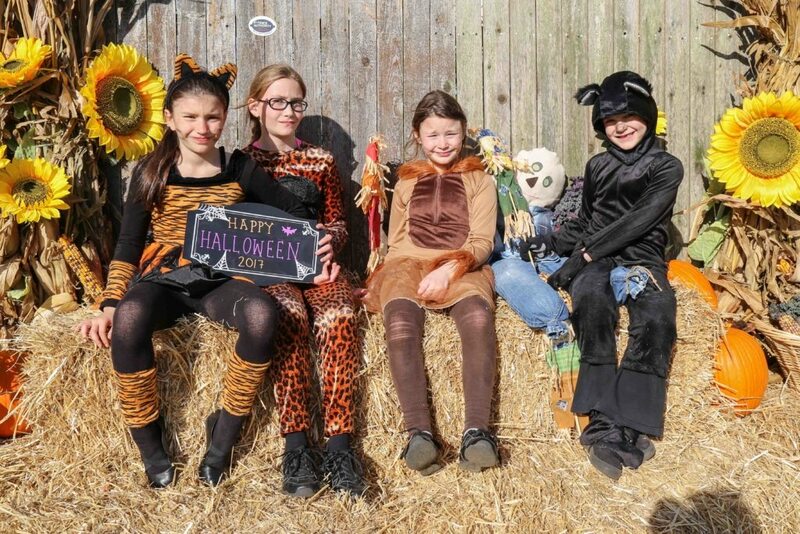 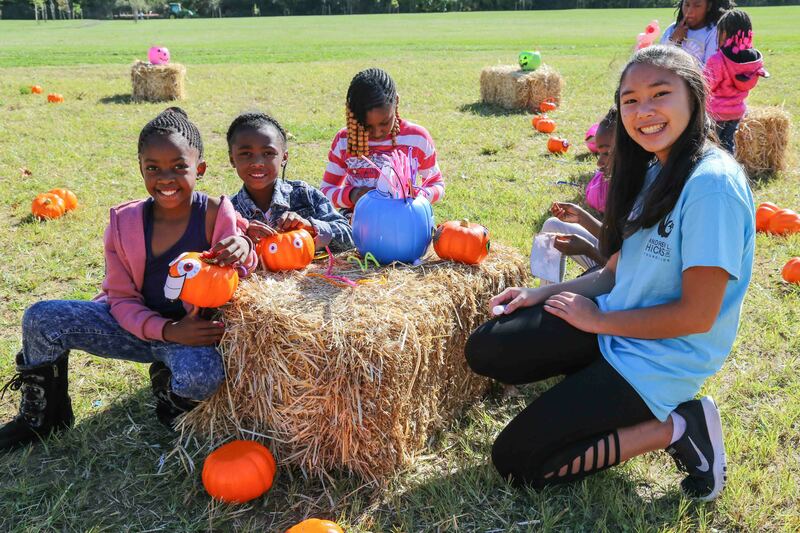 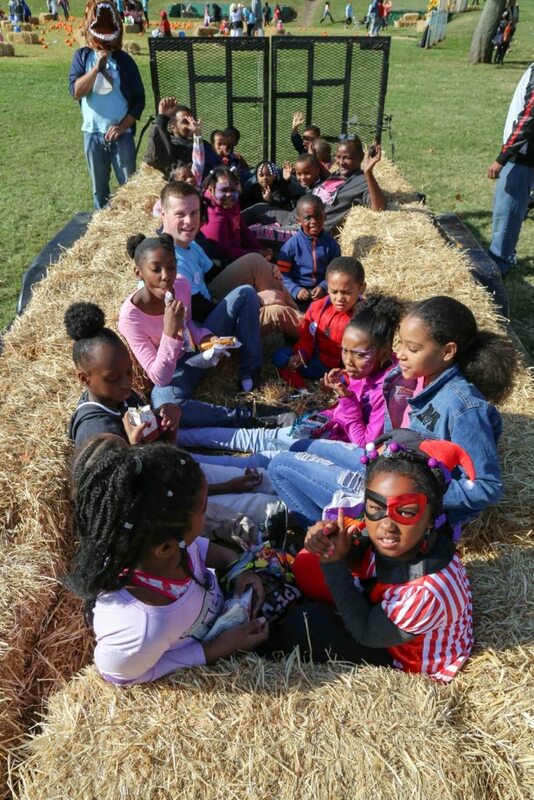 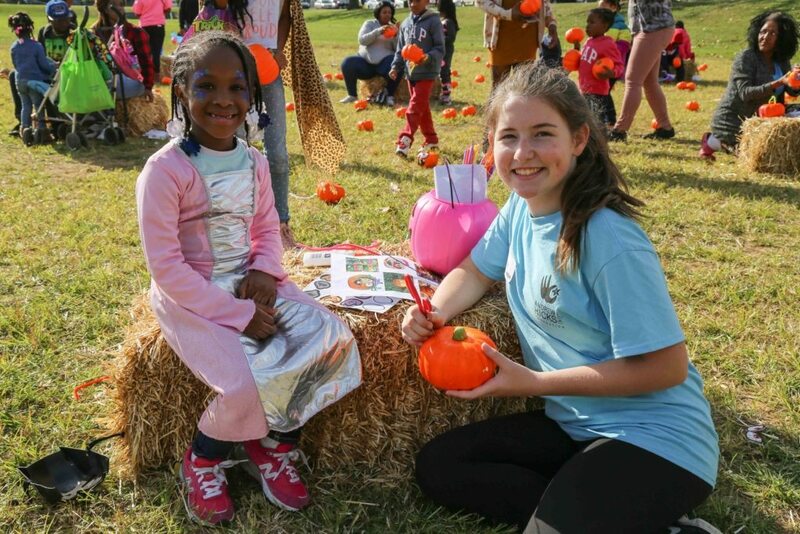 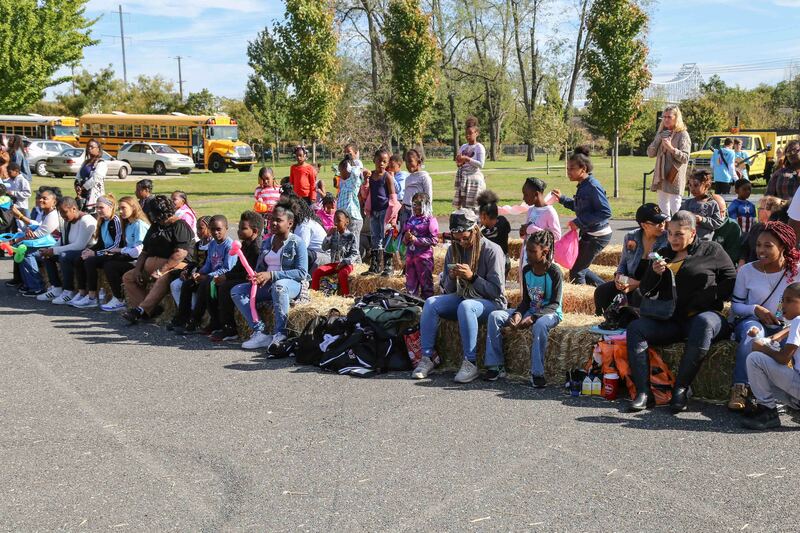 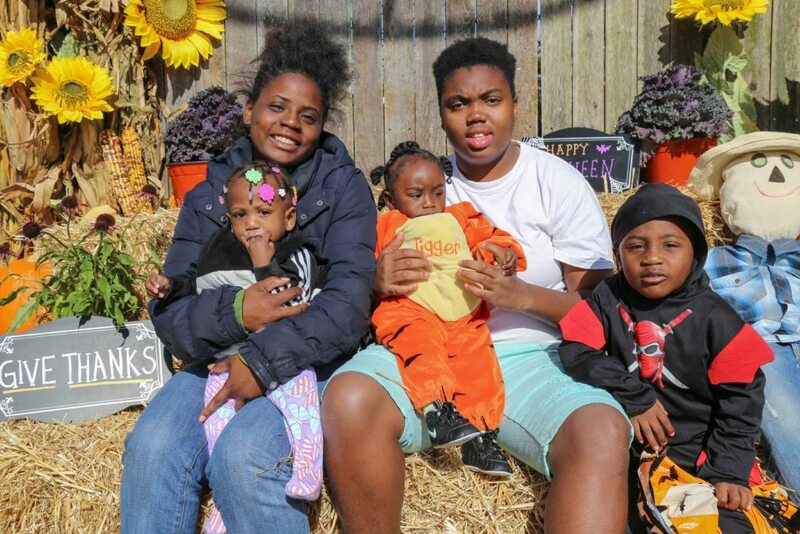 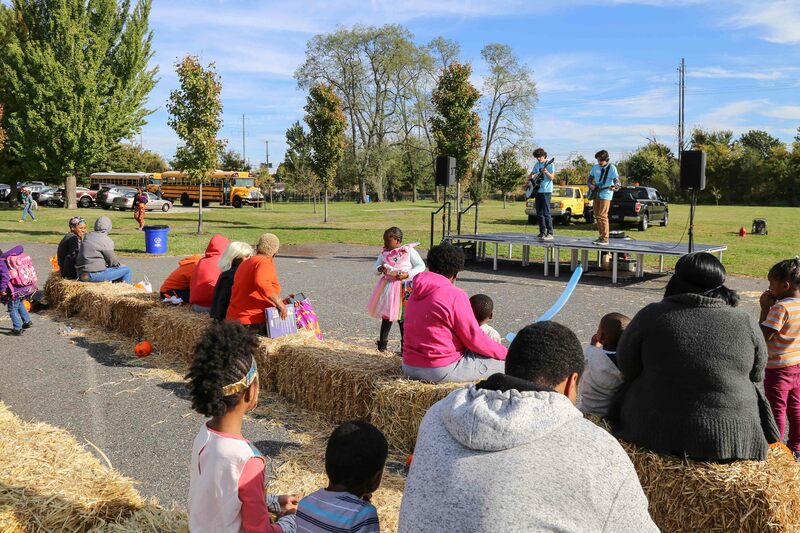 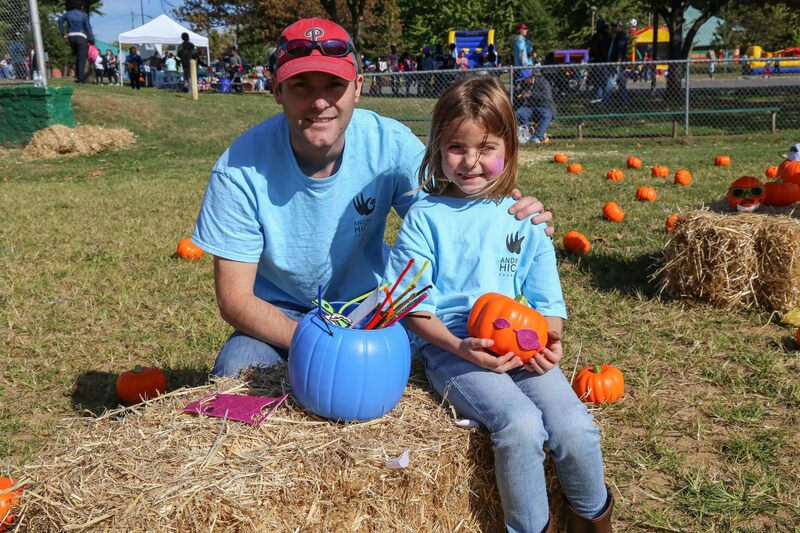 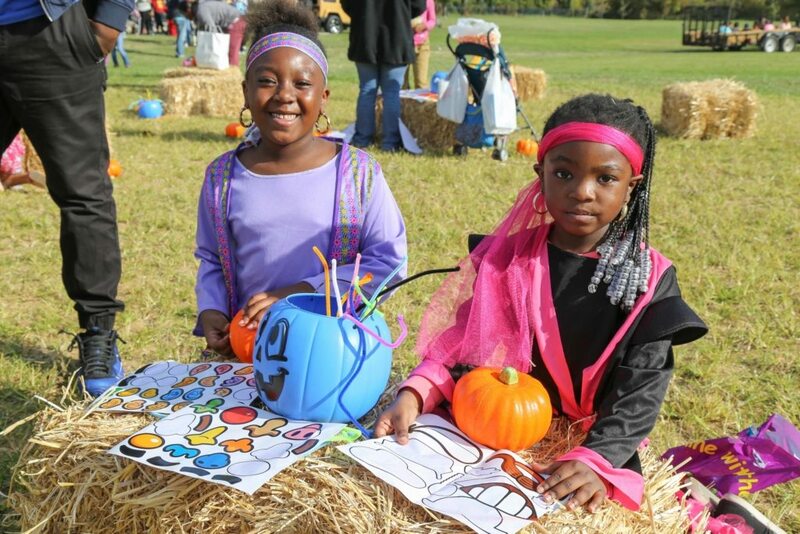 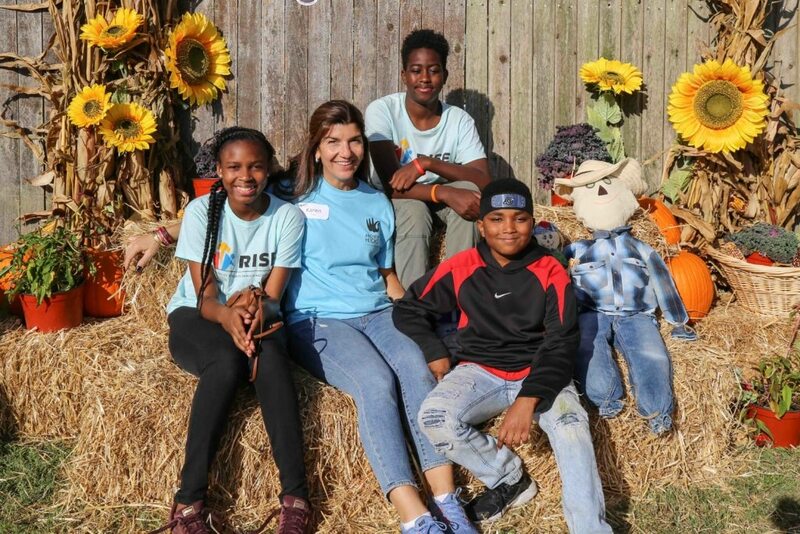 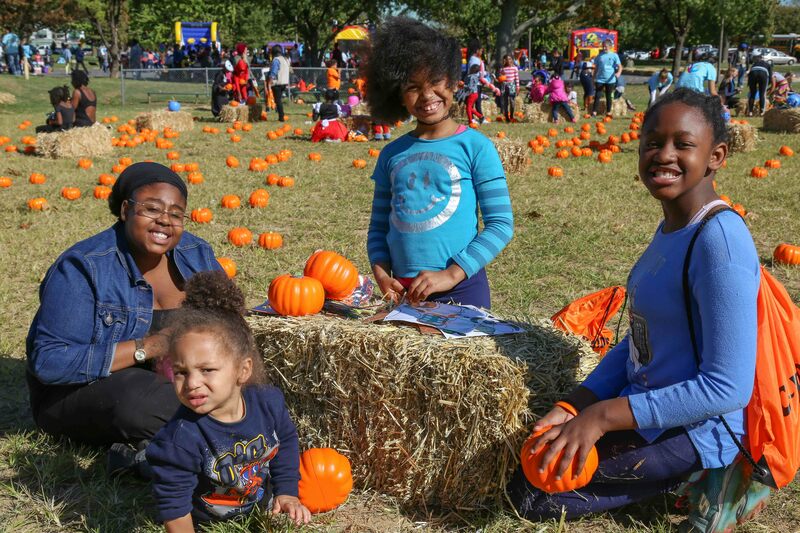 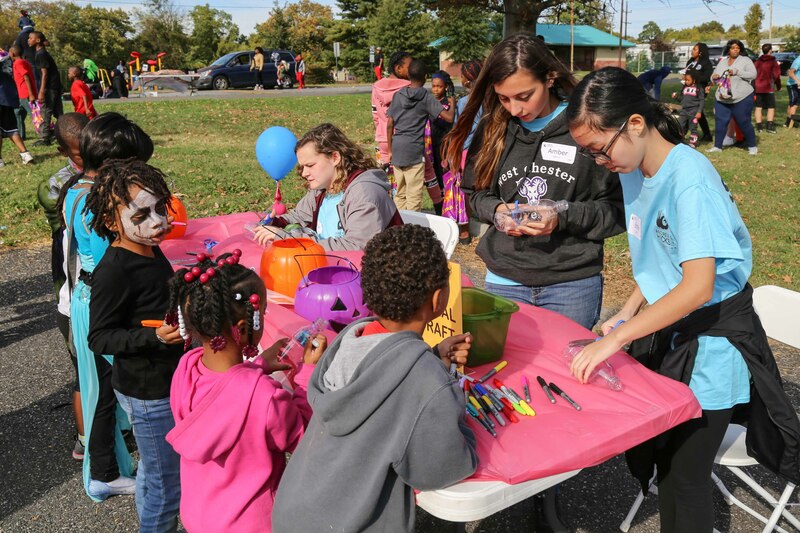 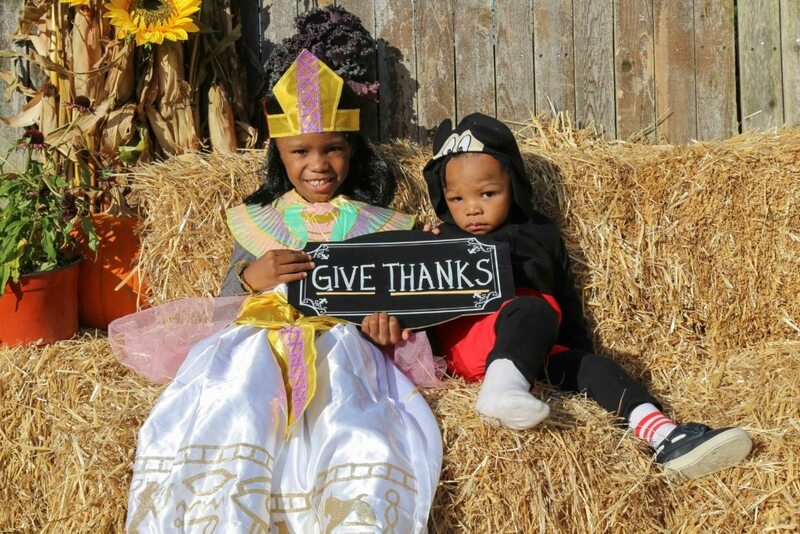 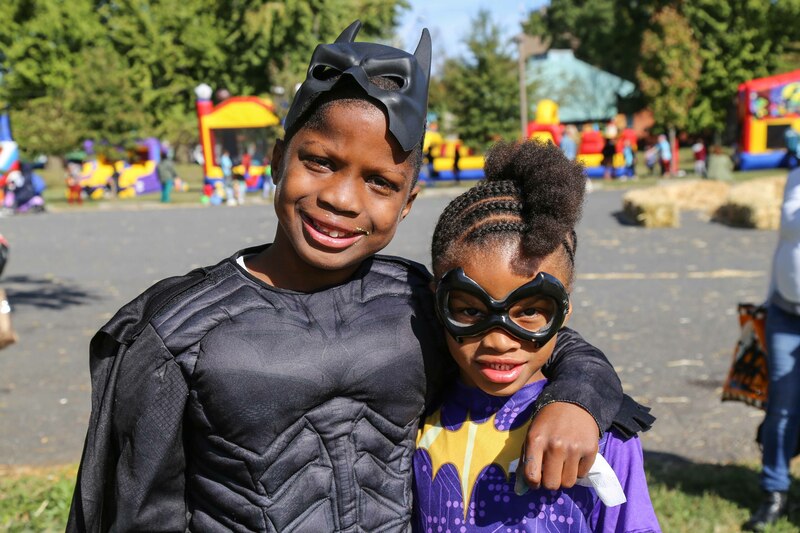 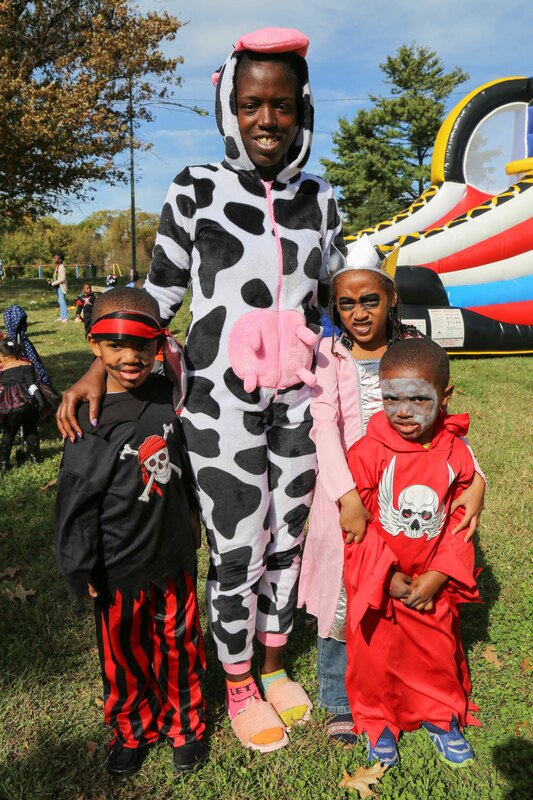 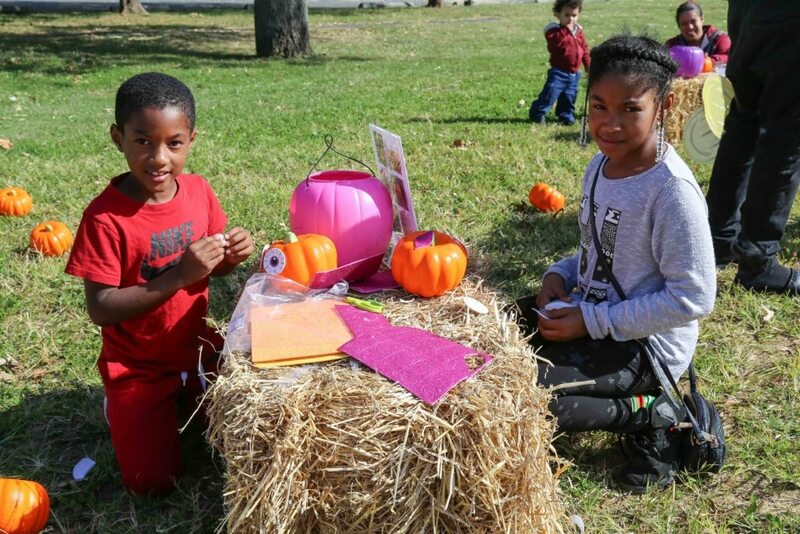 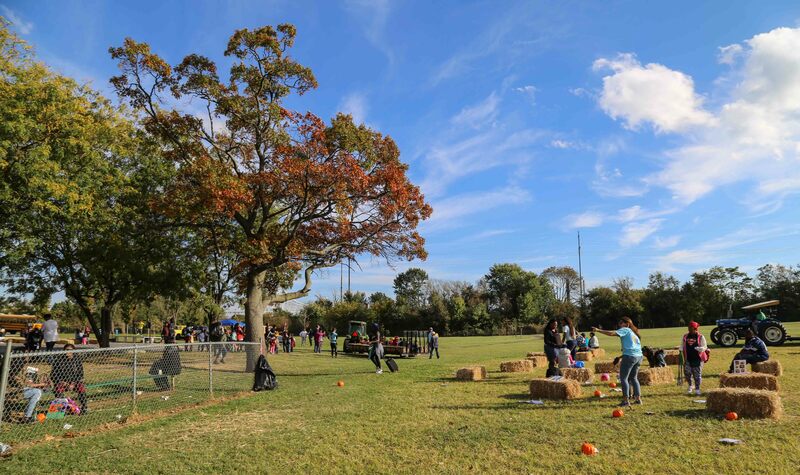 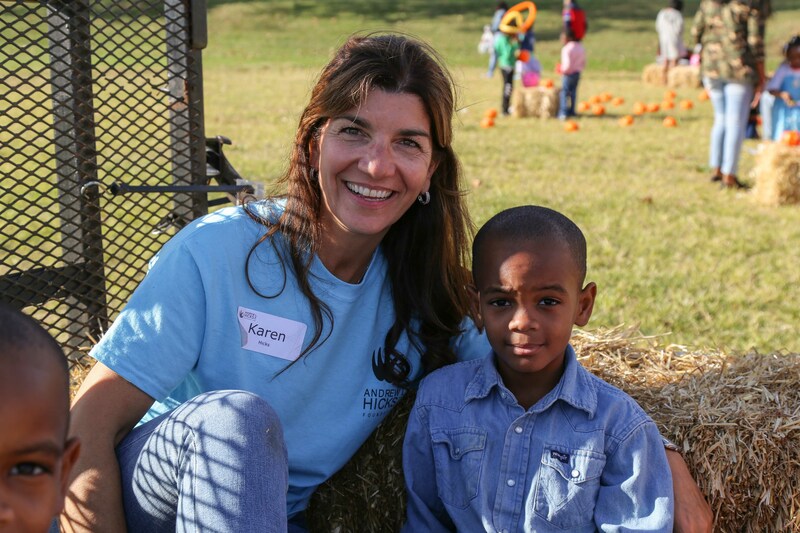 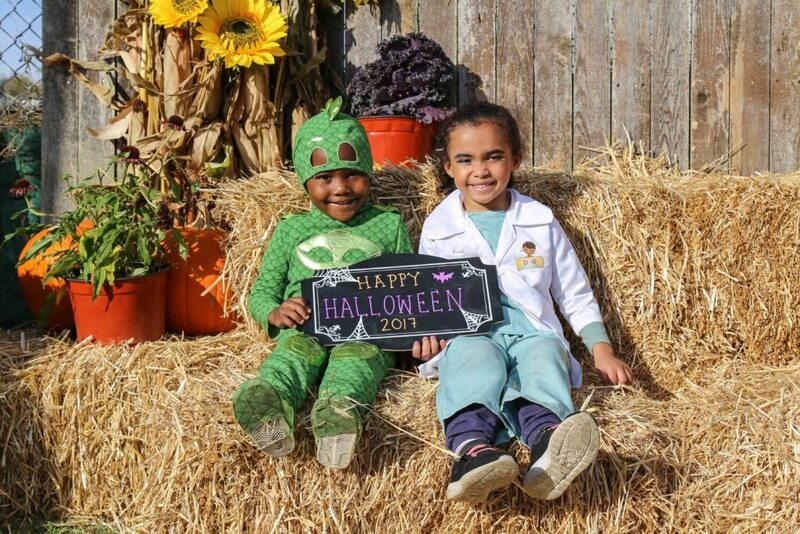 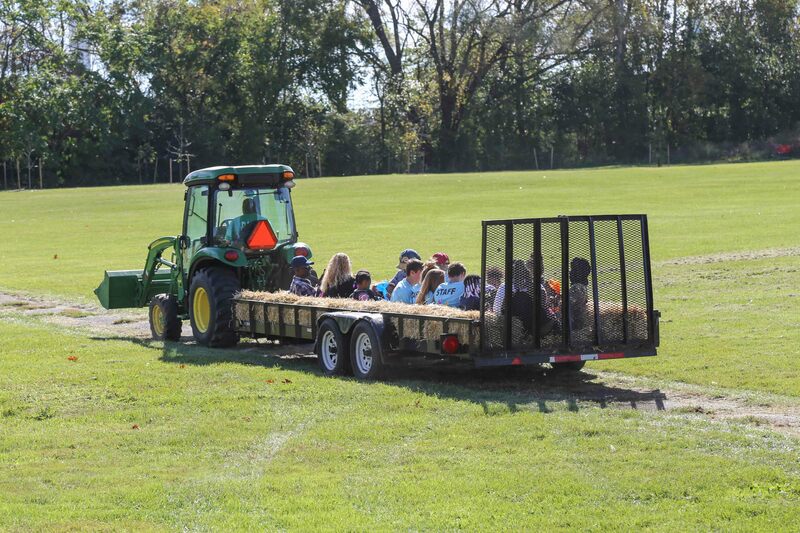 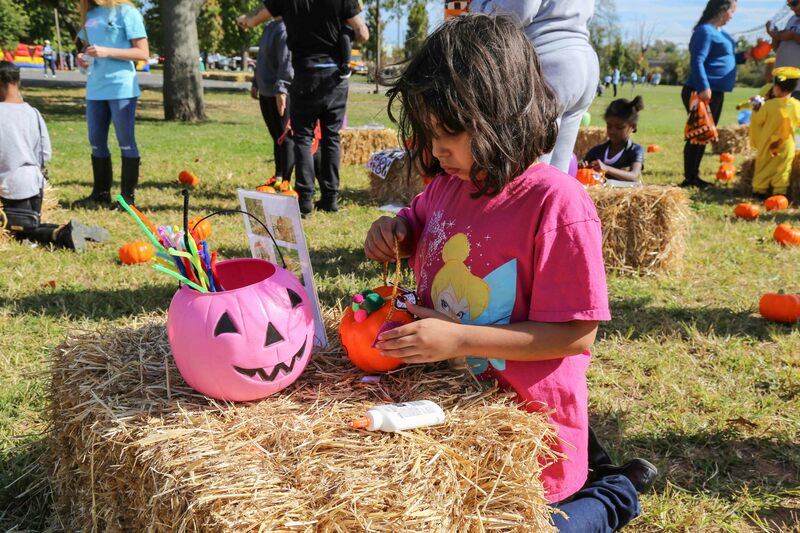 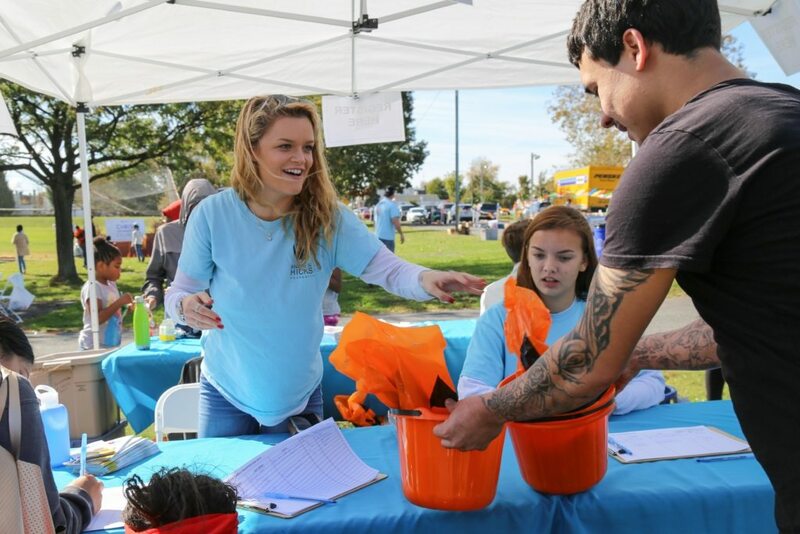 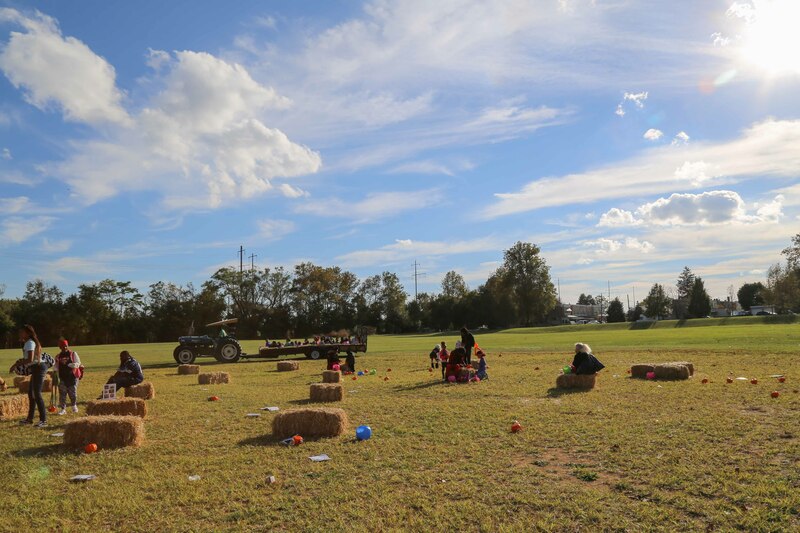 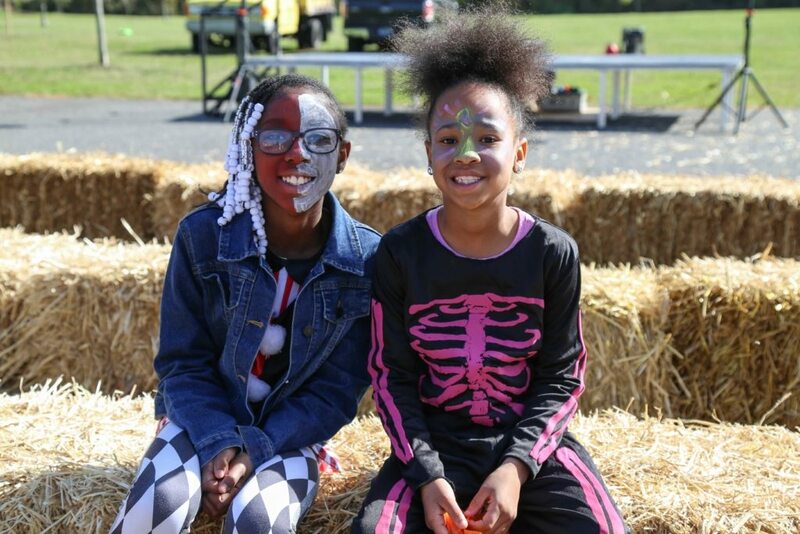 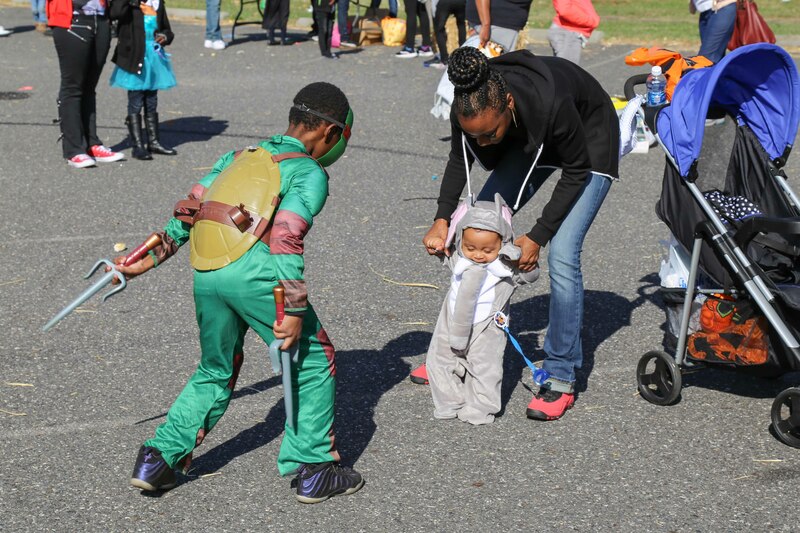 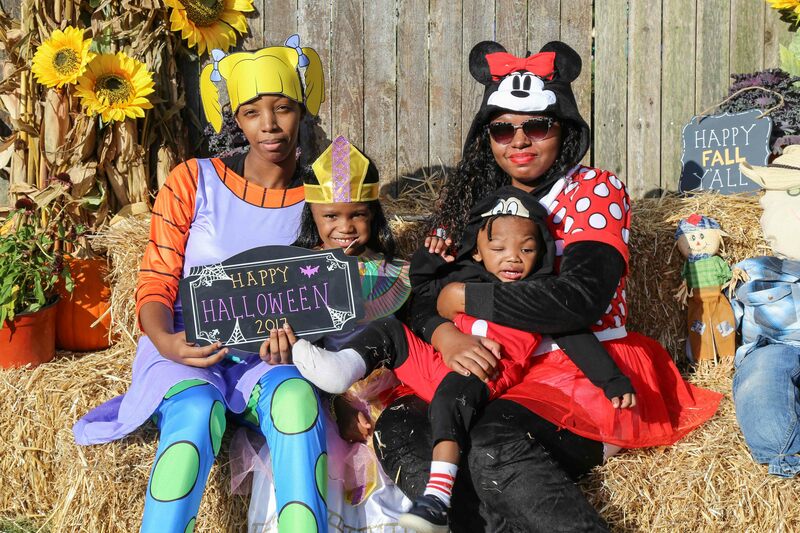 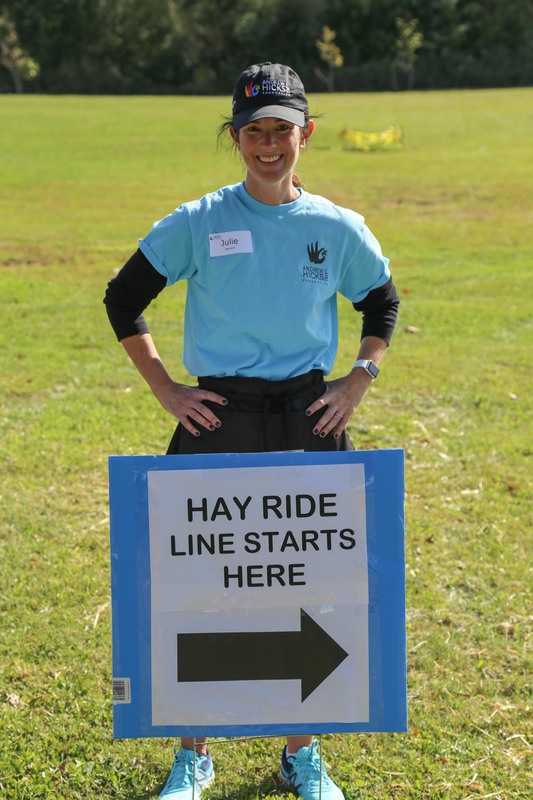 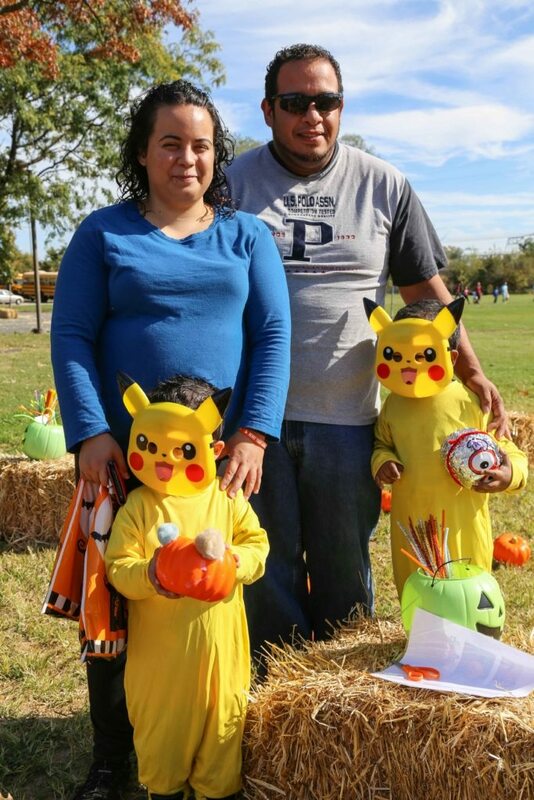 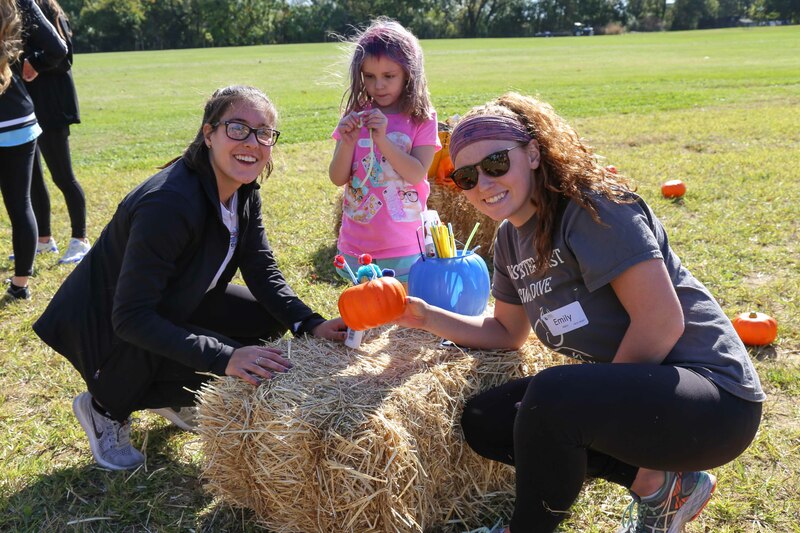 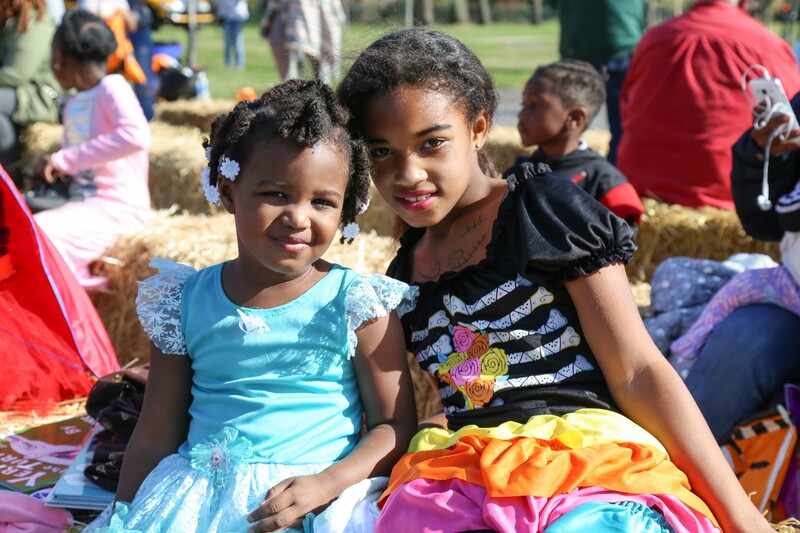 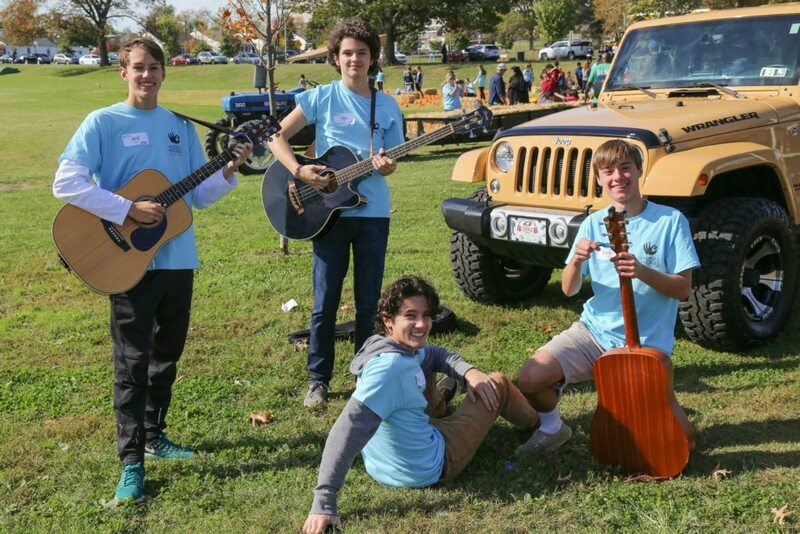 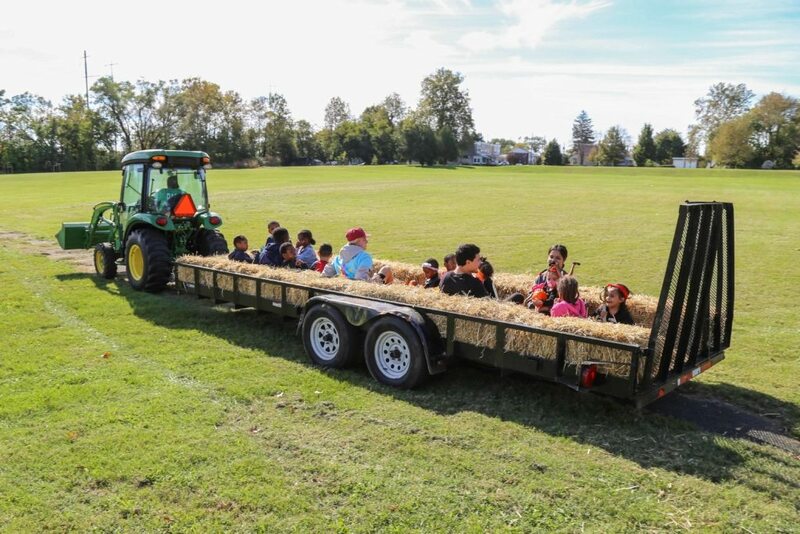 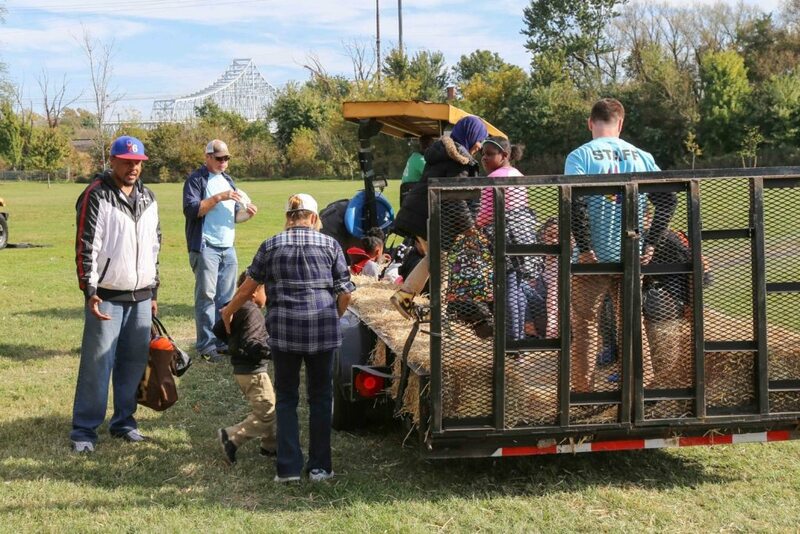 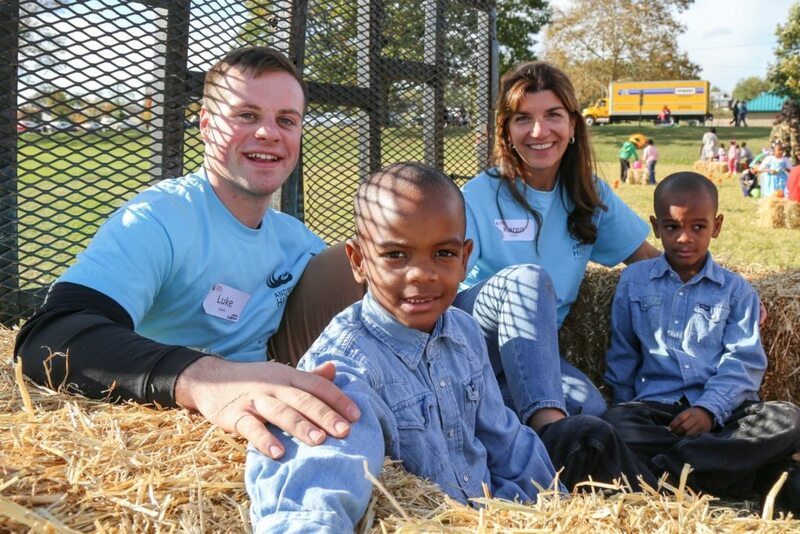 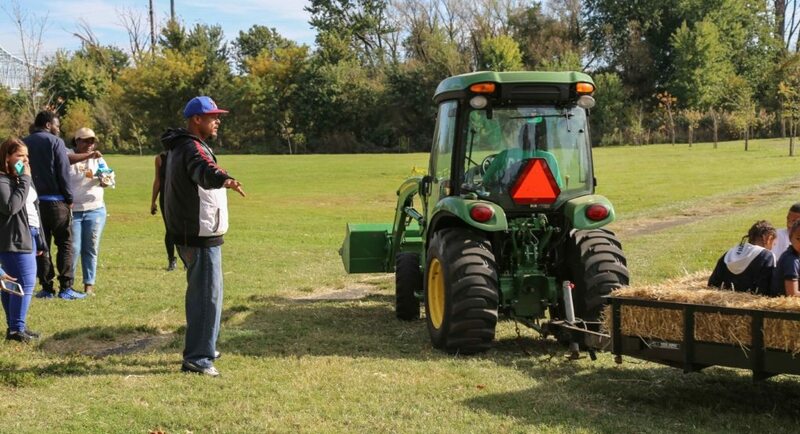 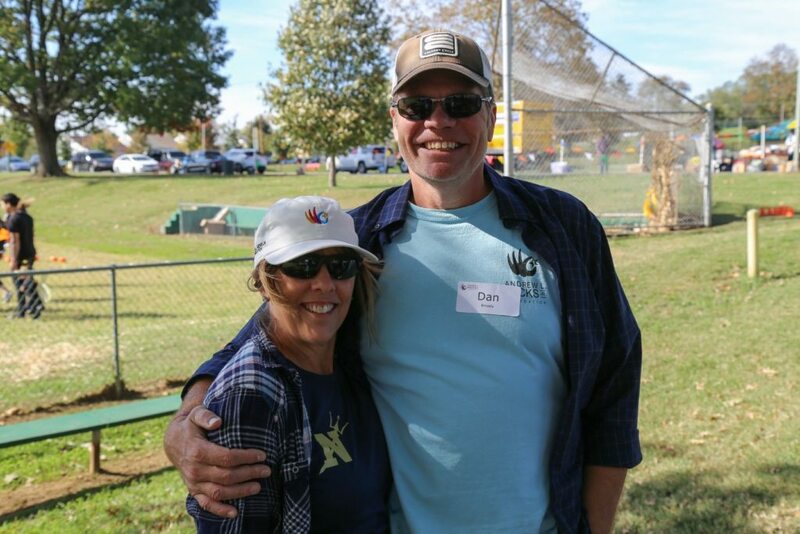 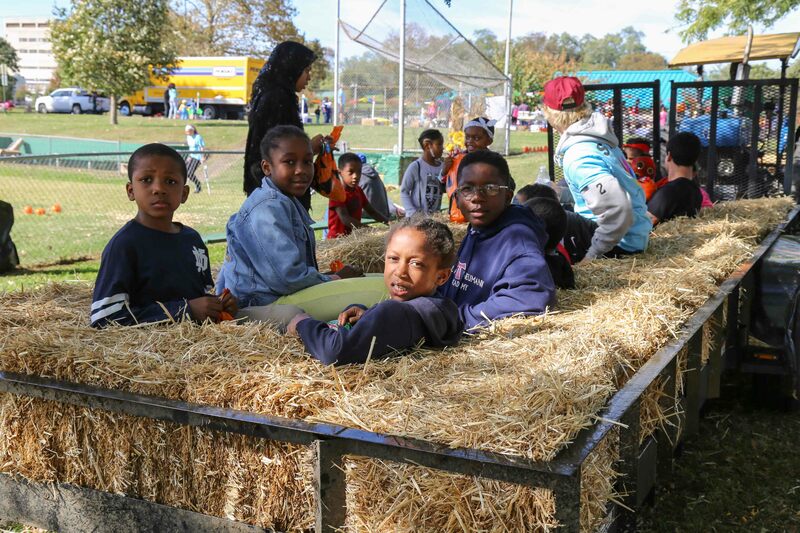 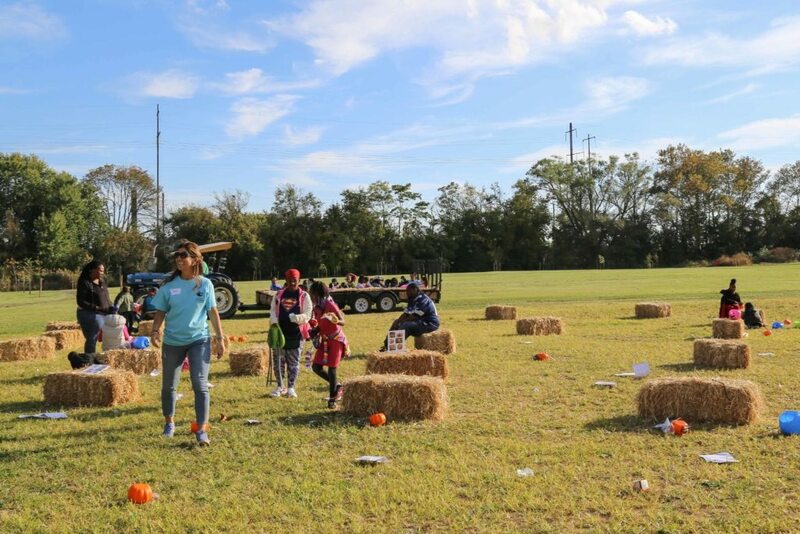 There was a pumpkin patch of artificial pumpkins that children could decorate, multiple inflatable obstacle courses and bounce houses, carnival games, and there was even two tractor hayrides, provided by the city of Chester! 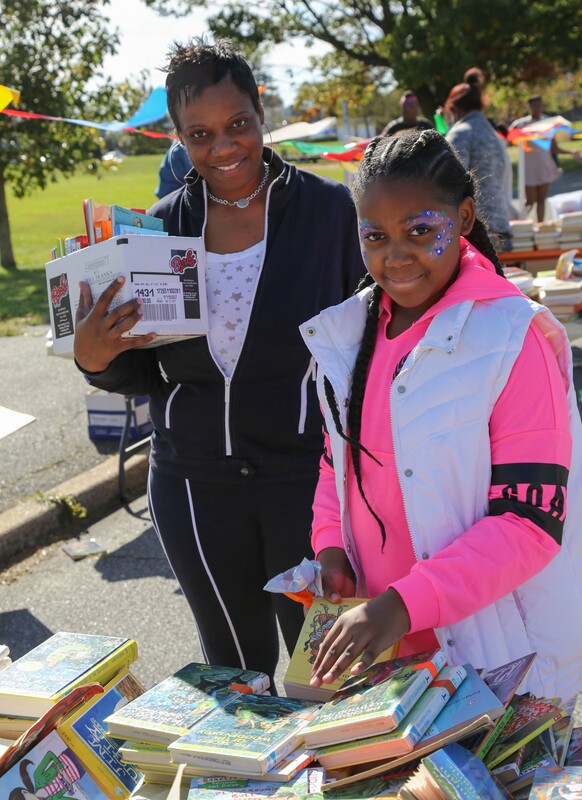 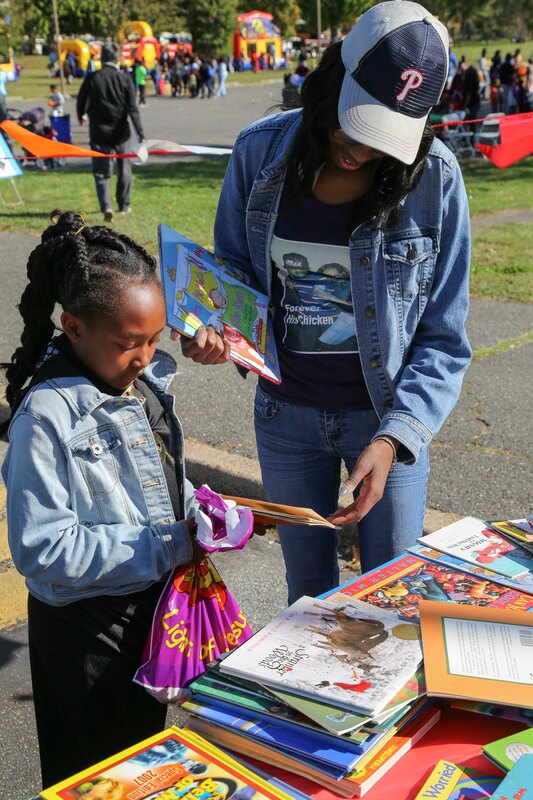 We also had ballon artists, face painting, a temporary tattoo station, as well as our large book giveaway of over 3,000 books. 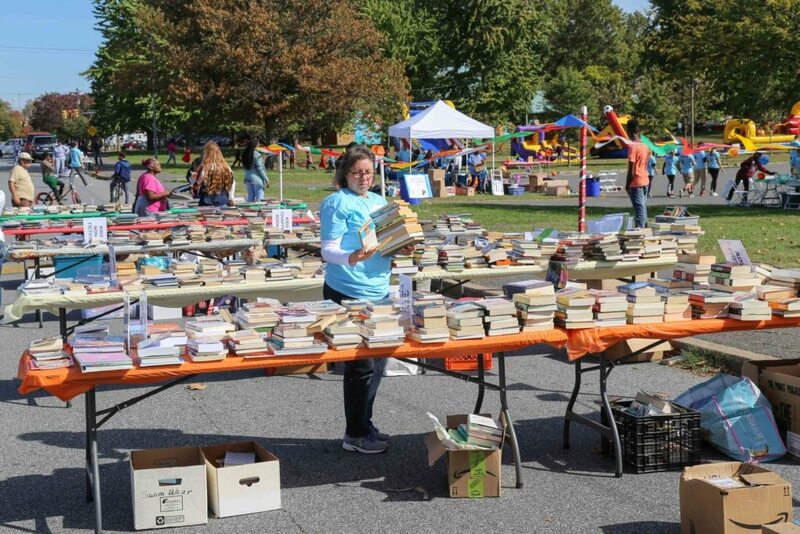 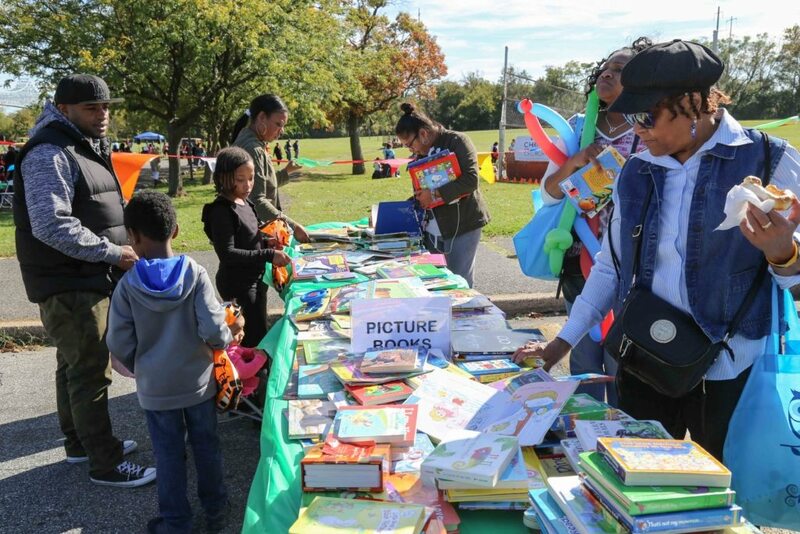 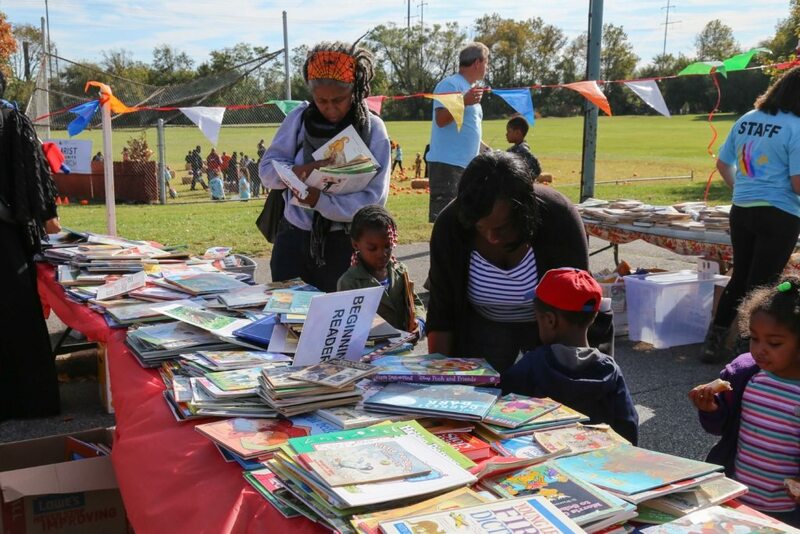 Children and adults could take as many free books as they liked, and people went home with boxes full. Thank you to everyone who donated books to the give away, as well as candythe children got when their parents registered at our welcome table. 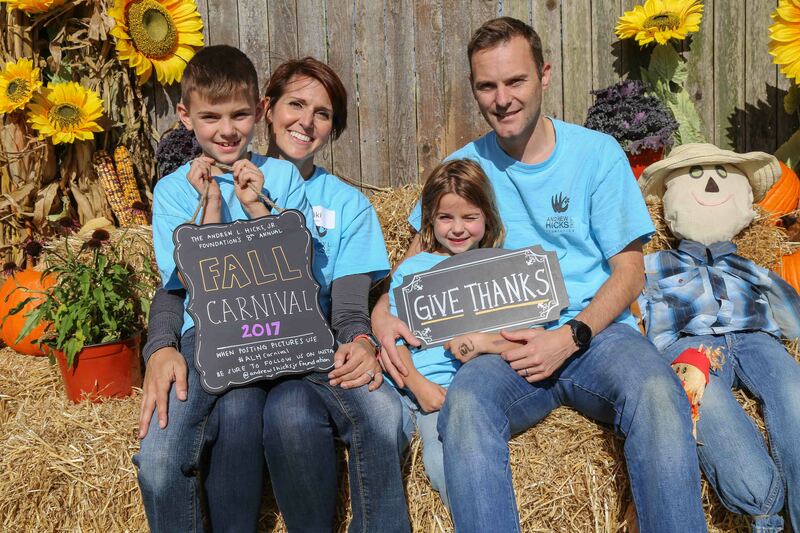 We even had a fall photo back drop, set up for families to take pictures, and many took advantage. In addition to many activities to enjoy we also were giving away free food of hotdogs, apples, chips, and water! 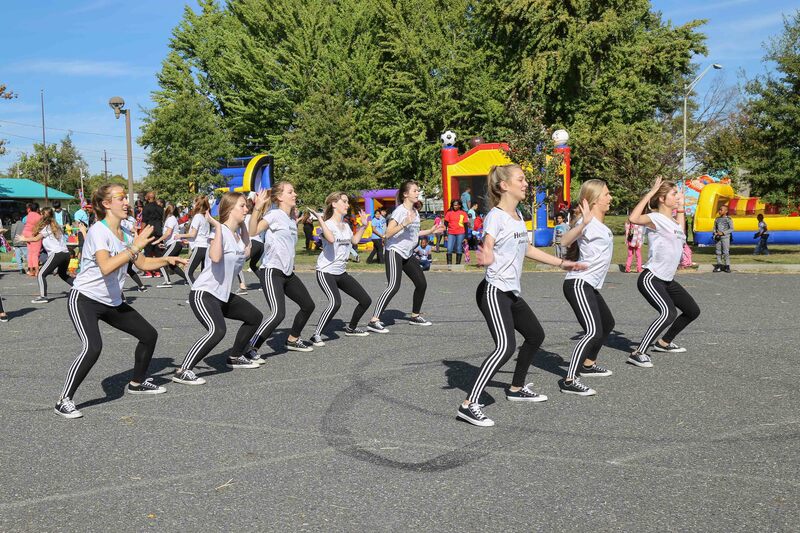 And if that weren’t enough we even were treated to live student performances, as well as a performance from the Henderson Dance Team. 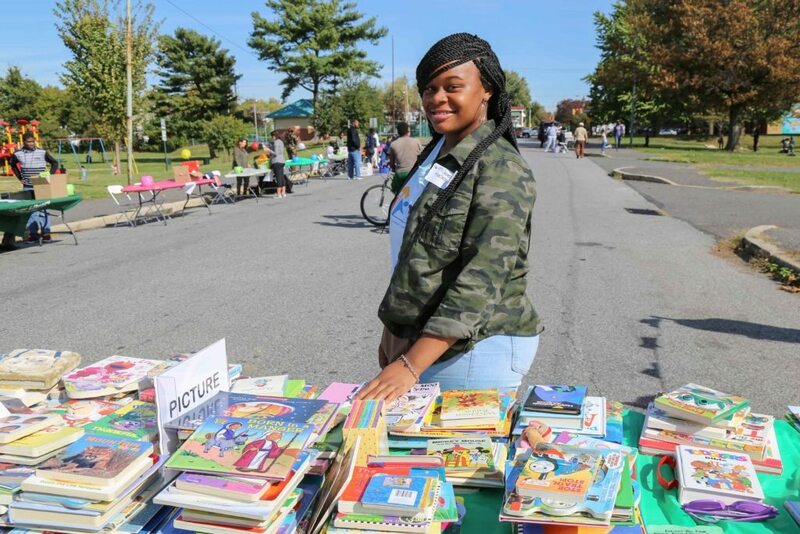 We also had tables set up for community partners to come and advertise their local business’ and groups. Over the course of 3 hours so many wonderful Chester residents came and enjoyed the Carnival and left with smiles on their faces. 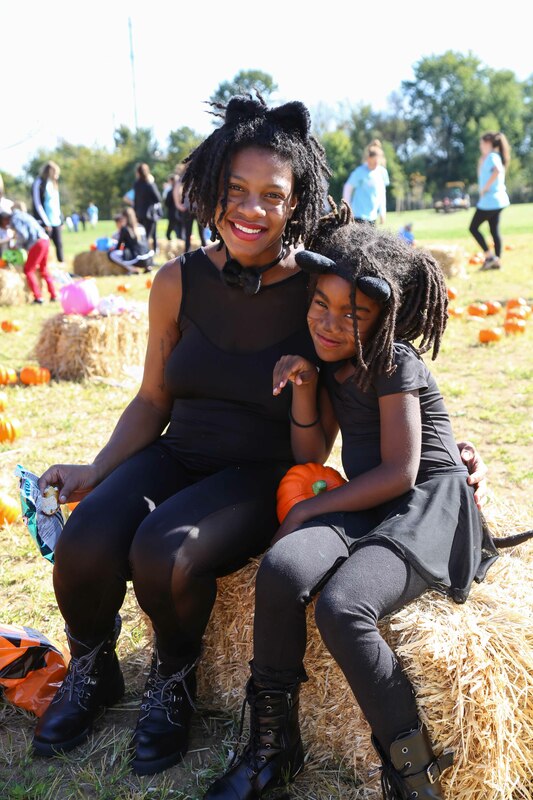 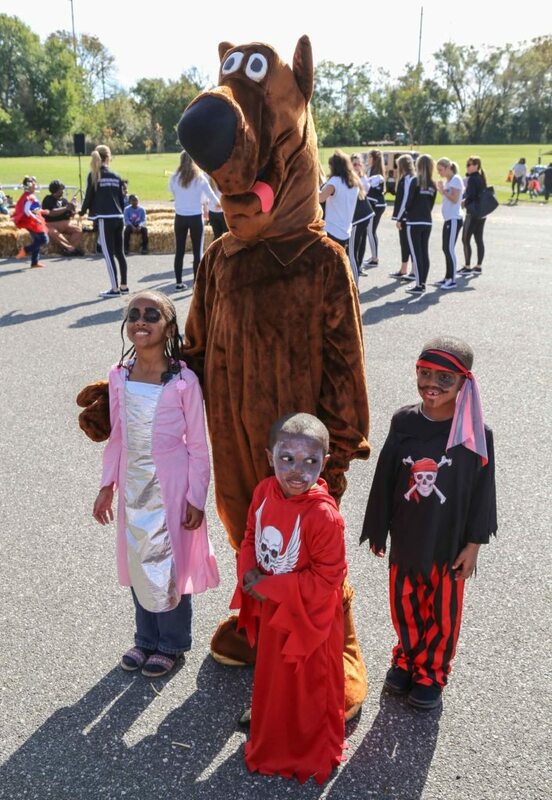 Many children even came in costume and got everyone in the fall spirit! Thank you so much to everyone who came out as well as to our amazing volunteers who ran the event and made the whole day possible! We’re already looking forward to next year, as every year seems to get bigger and better!